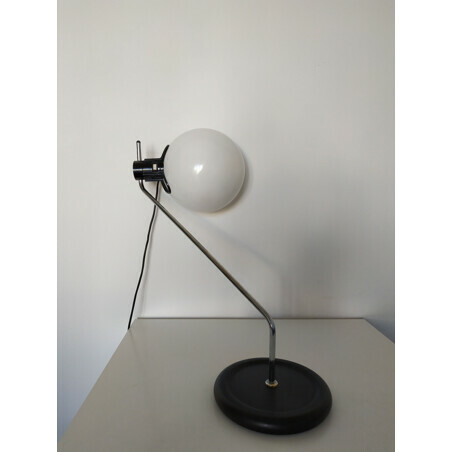 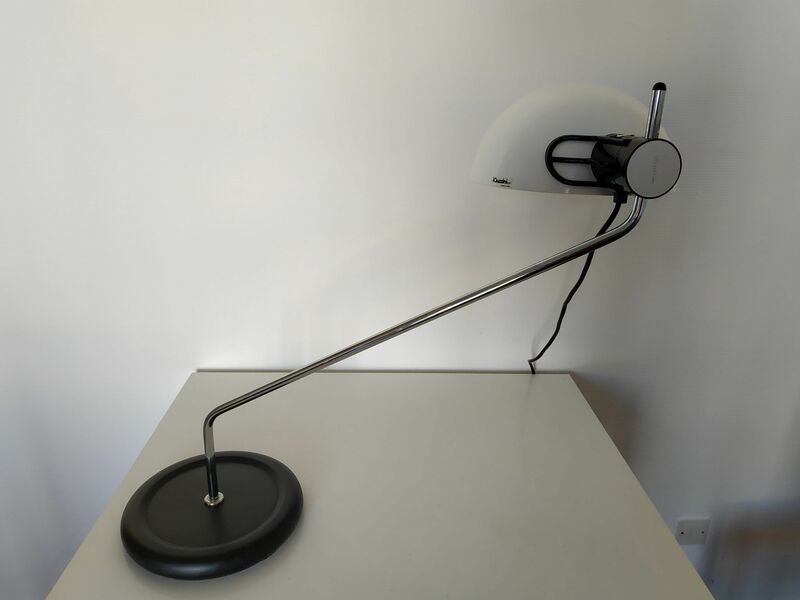 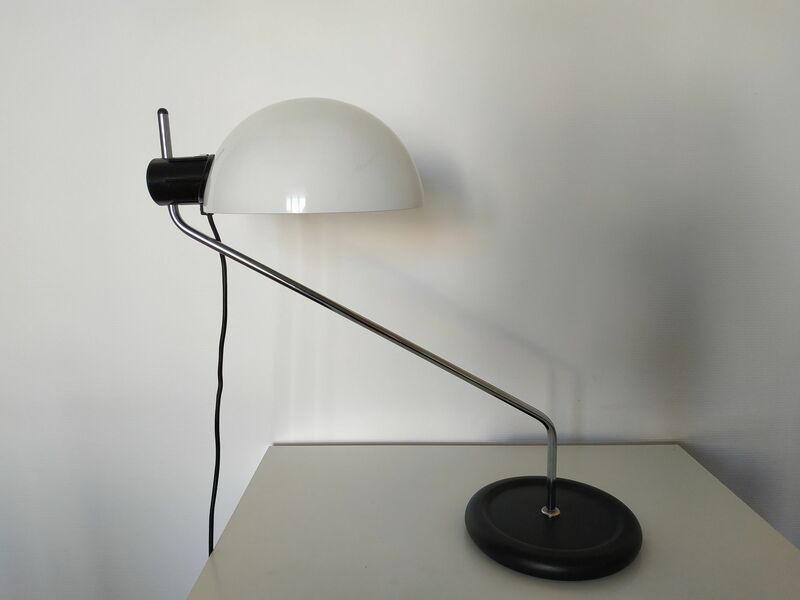 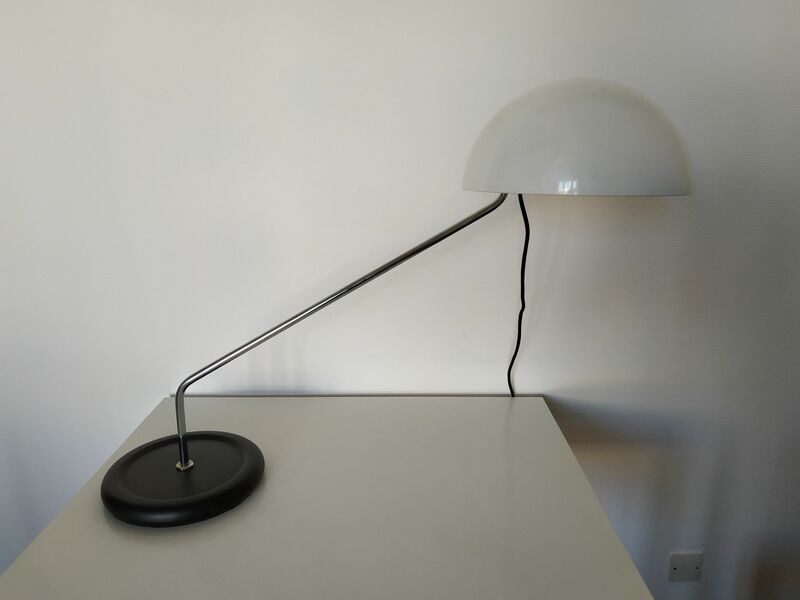 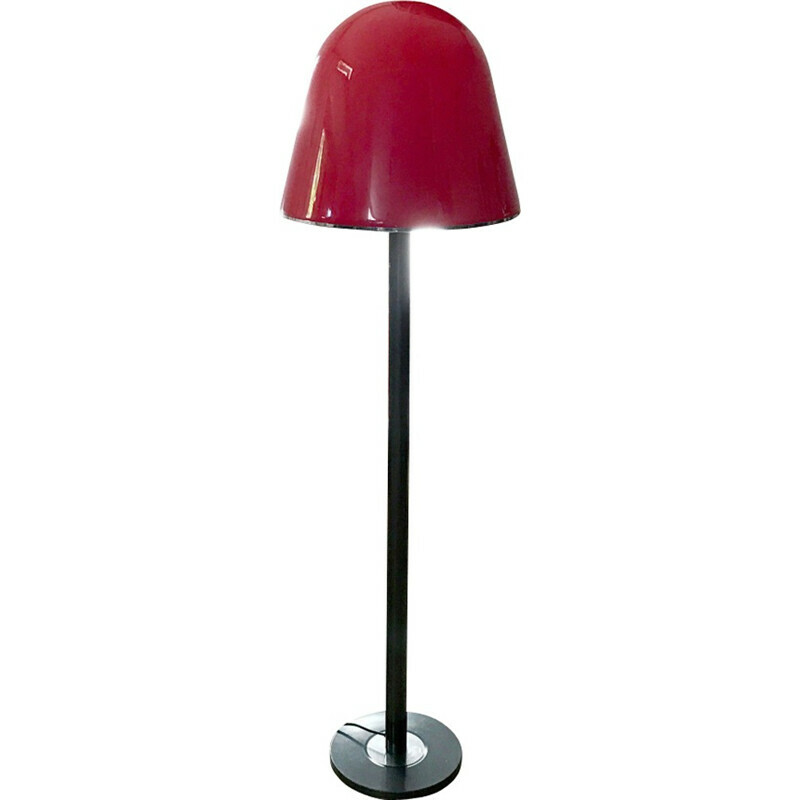 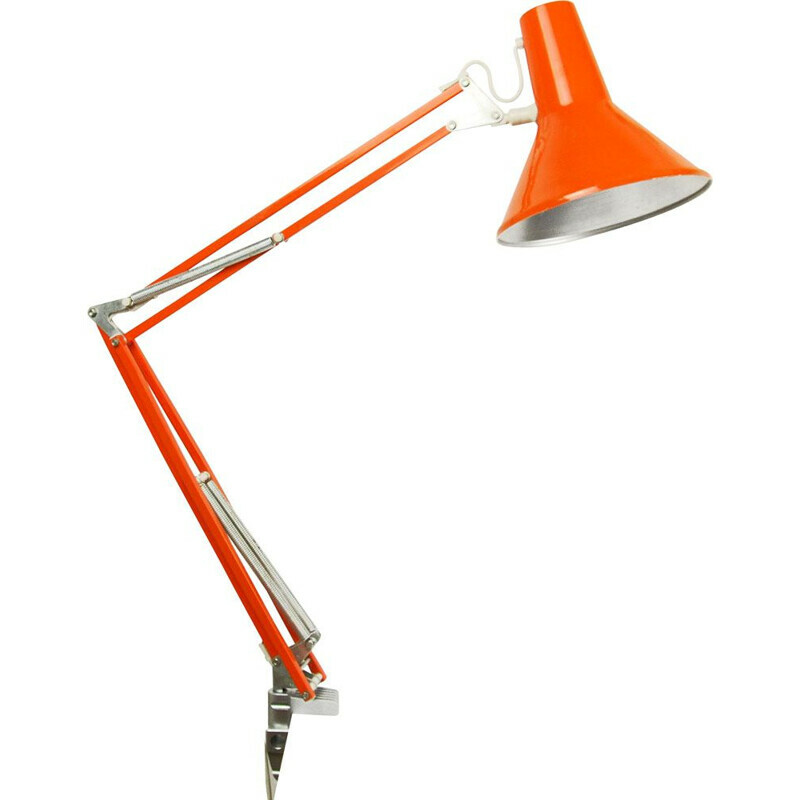 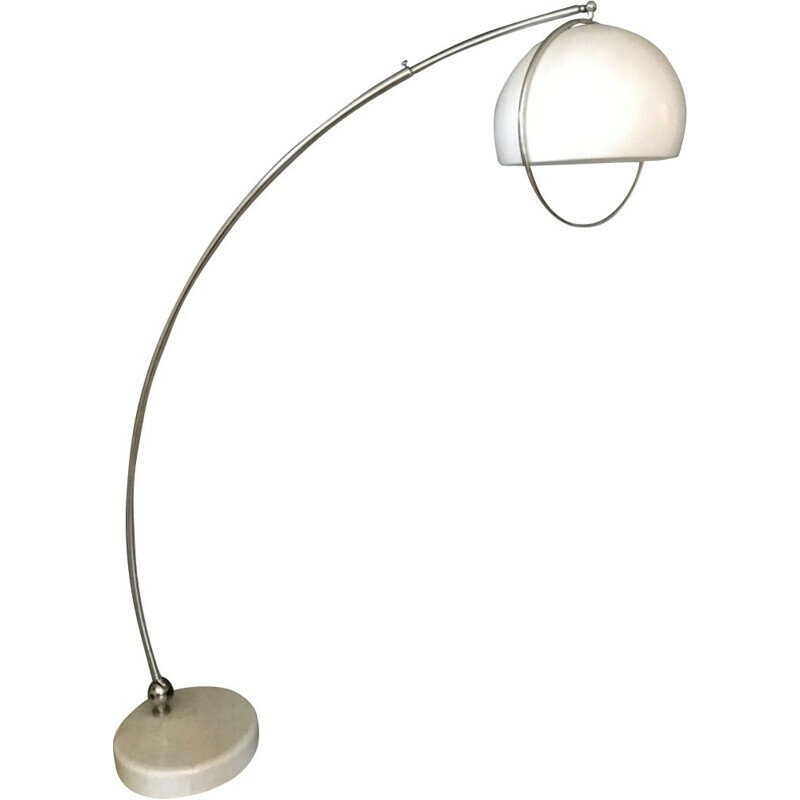 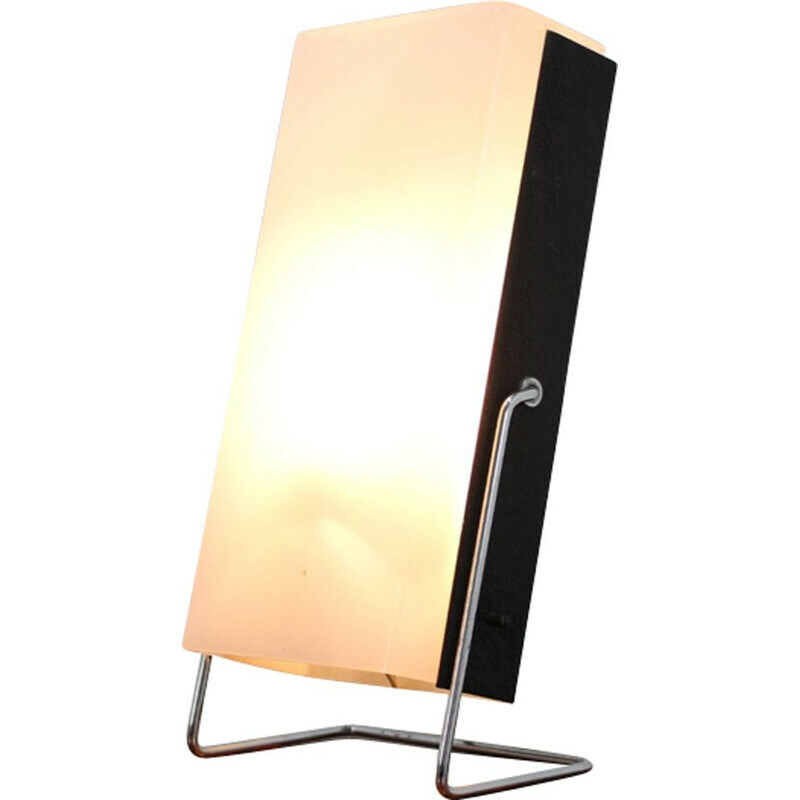 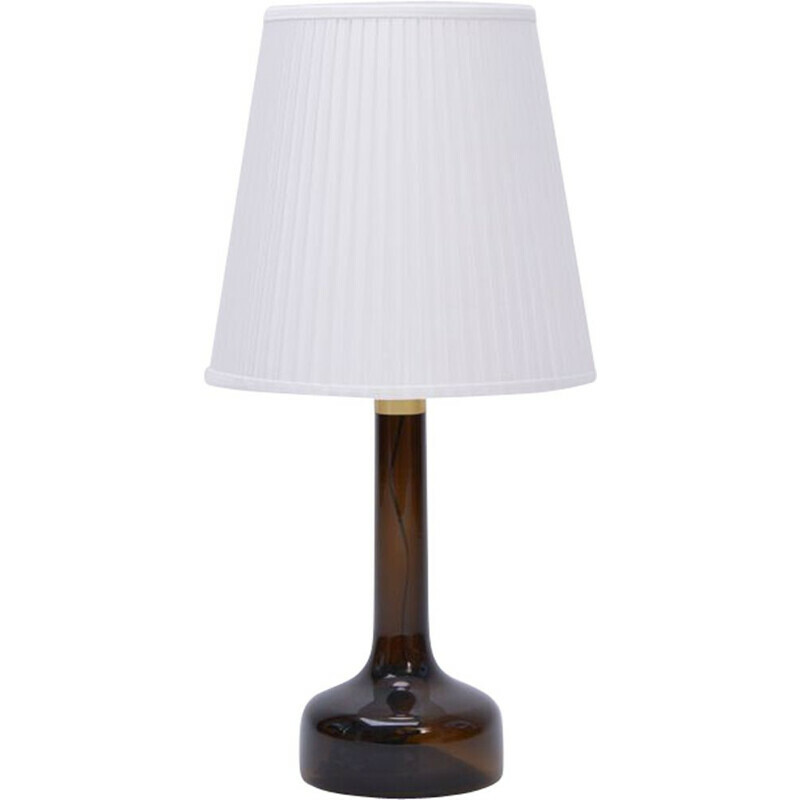 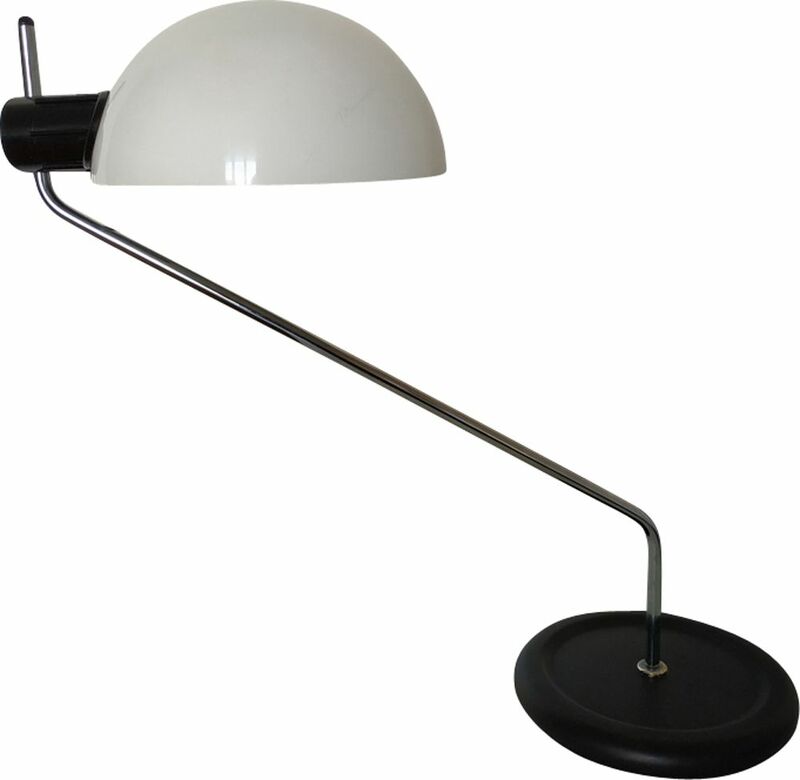 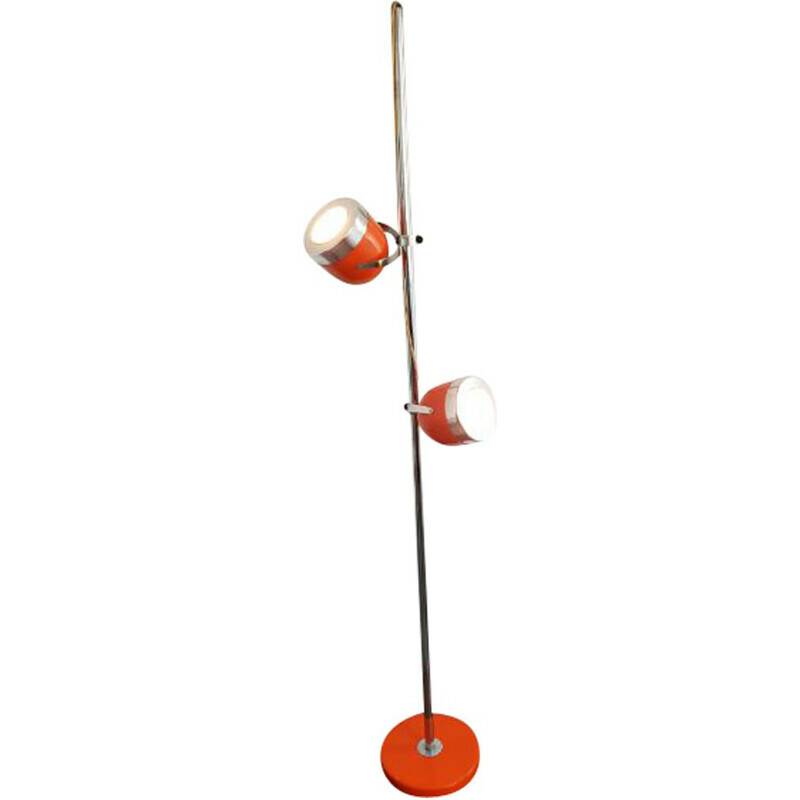 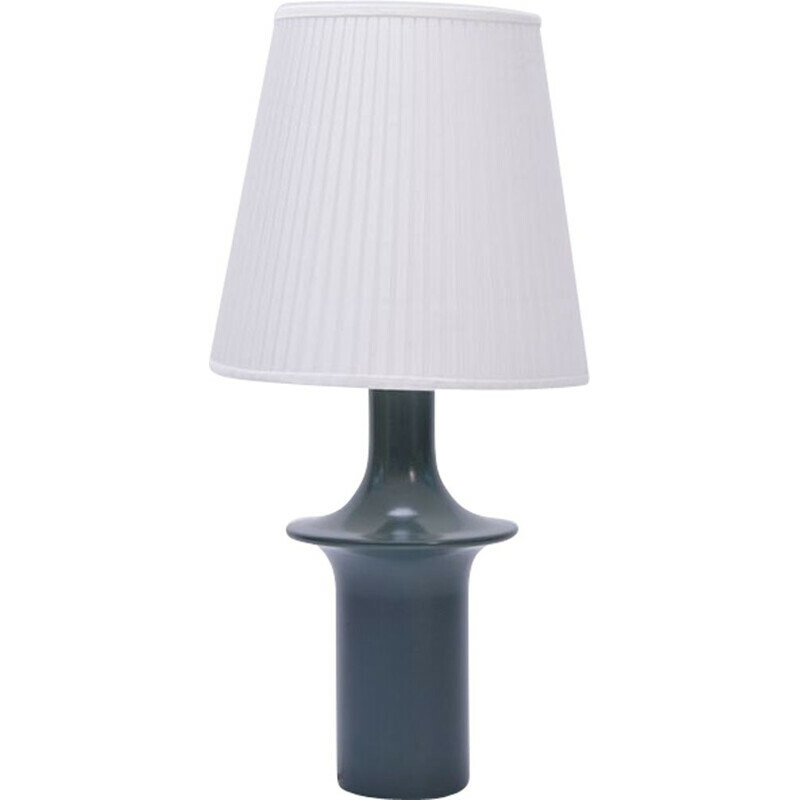 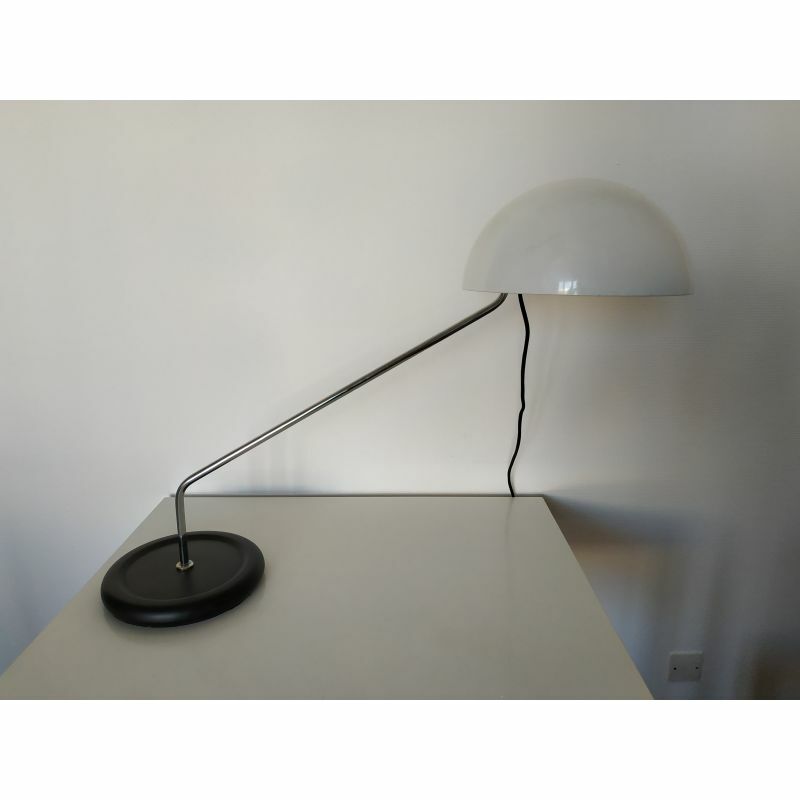 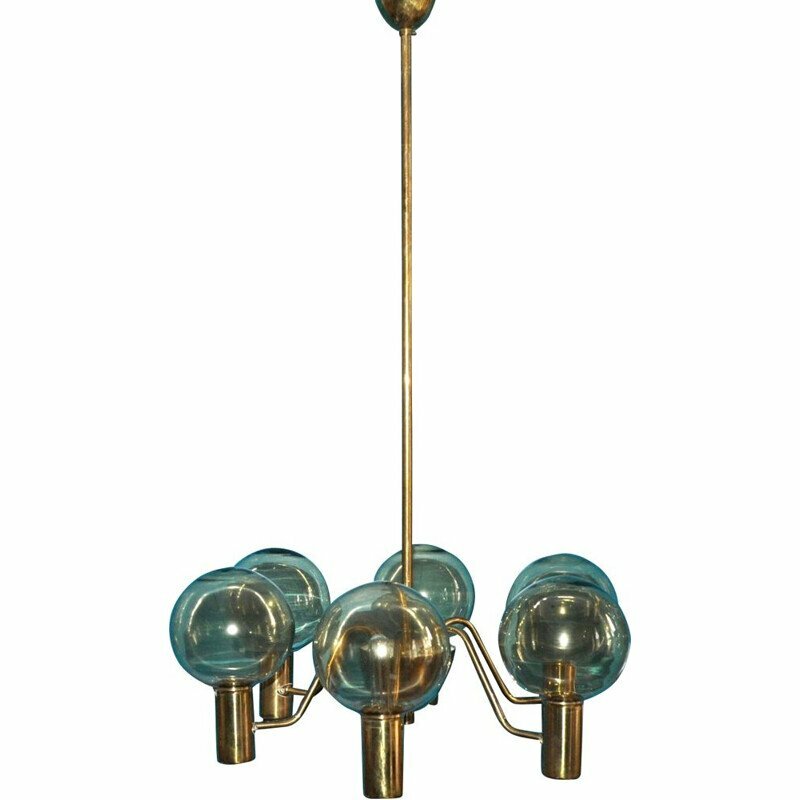 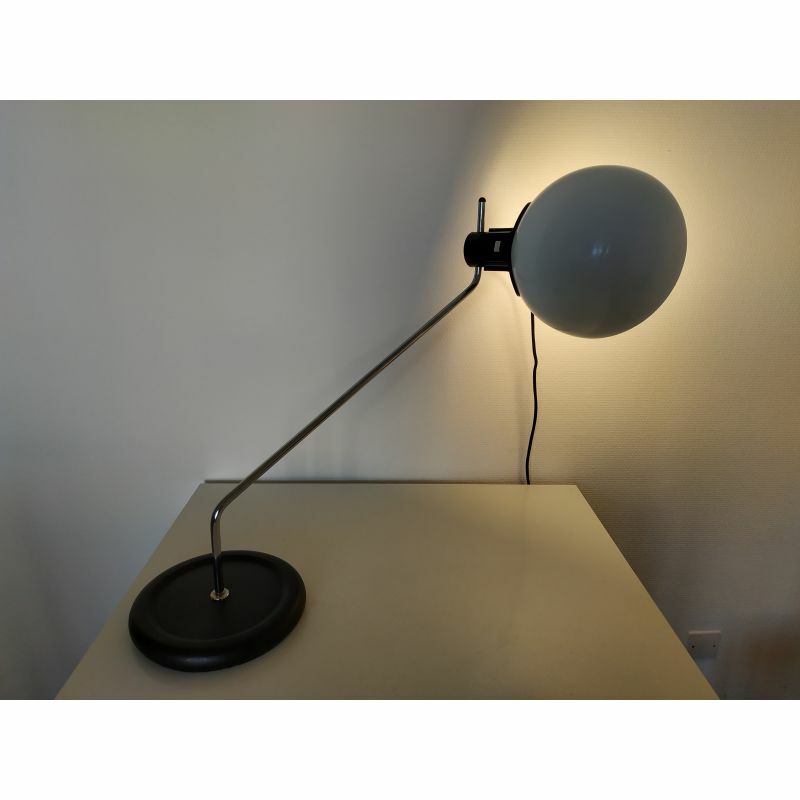 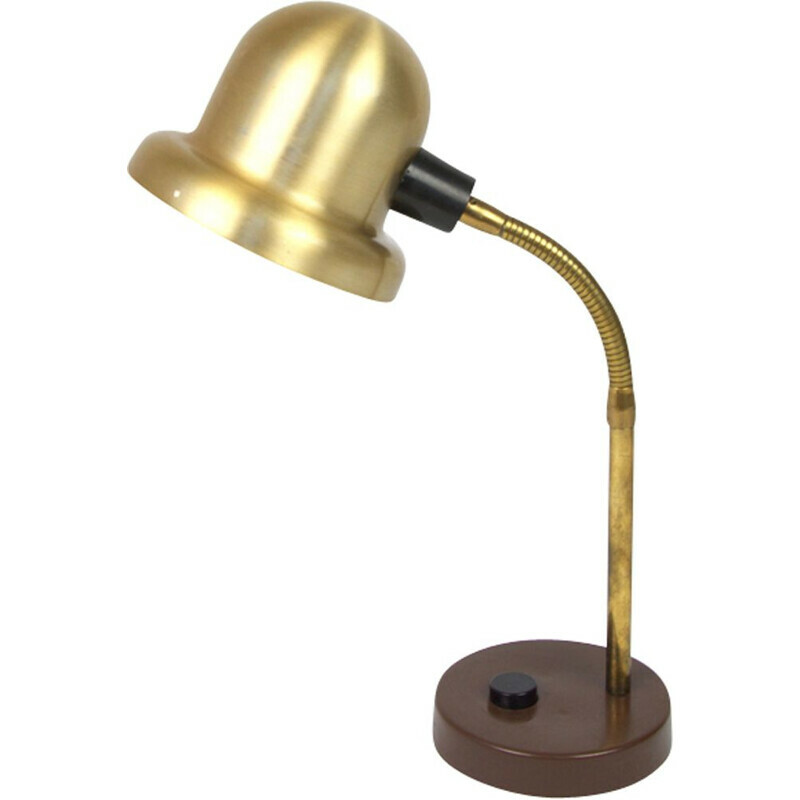 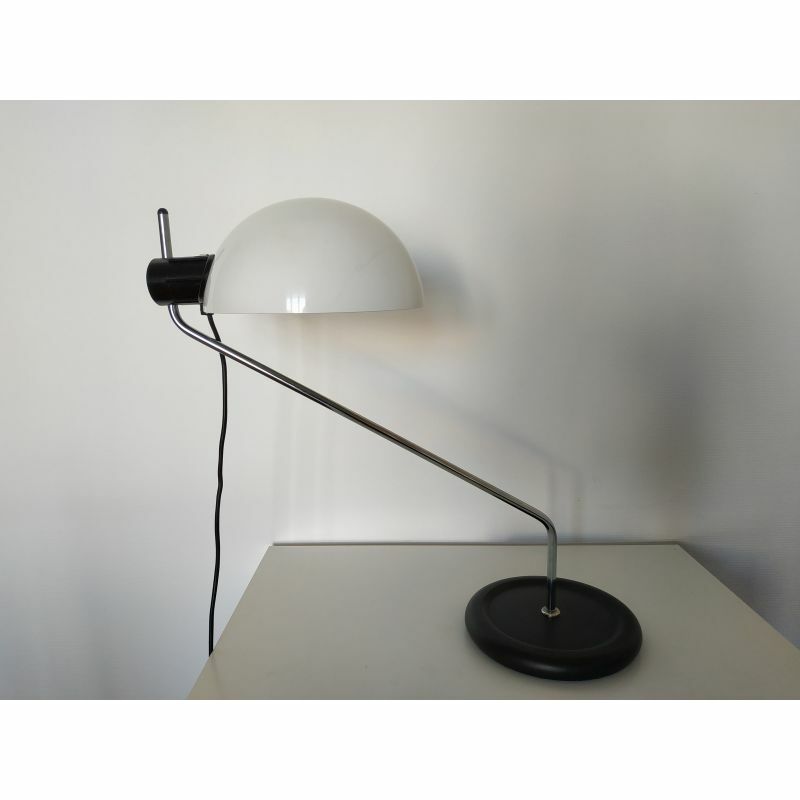 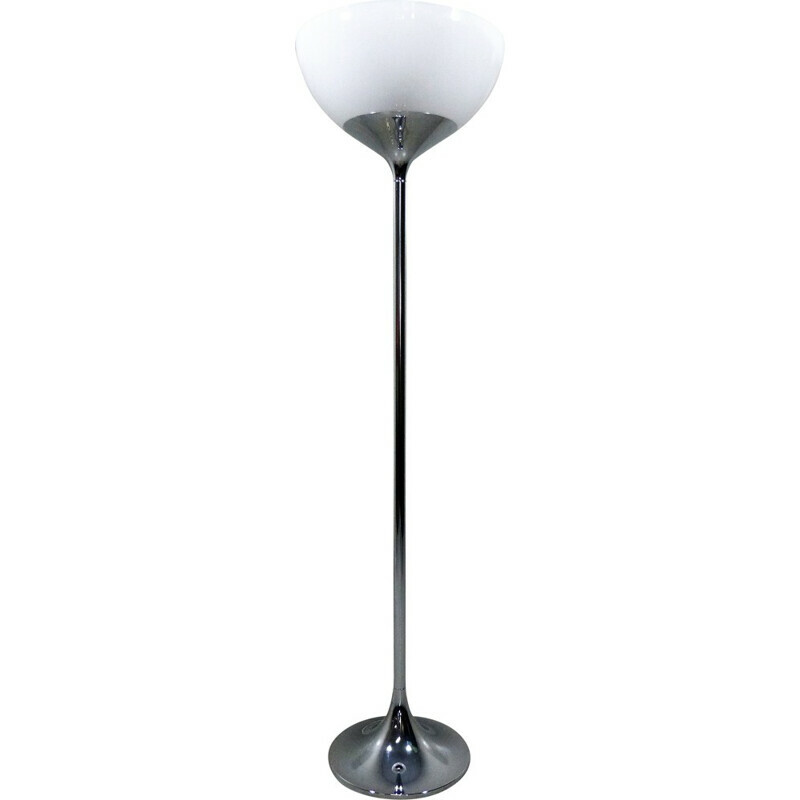 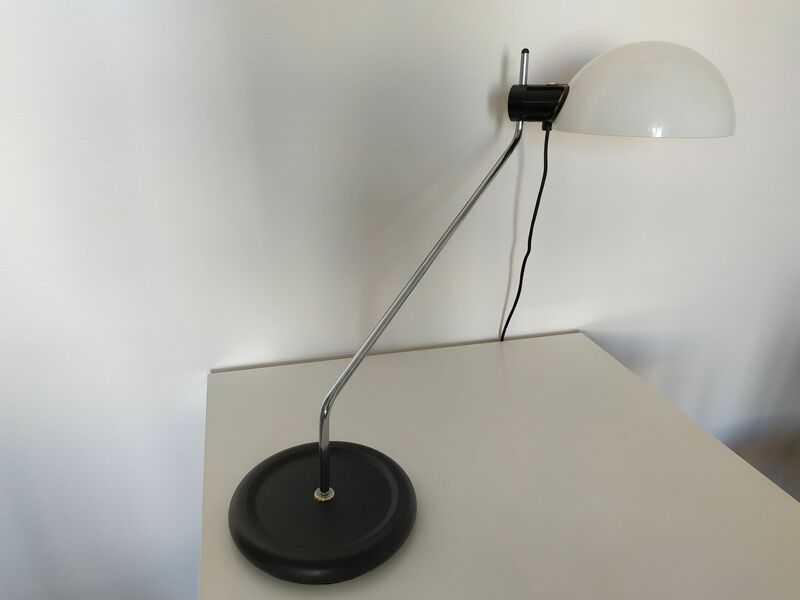 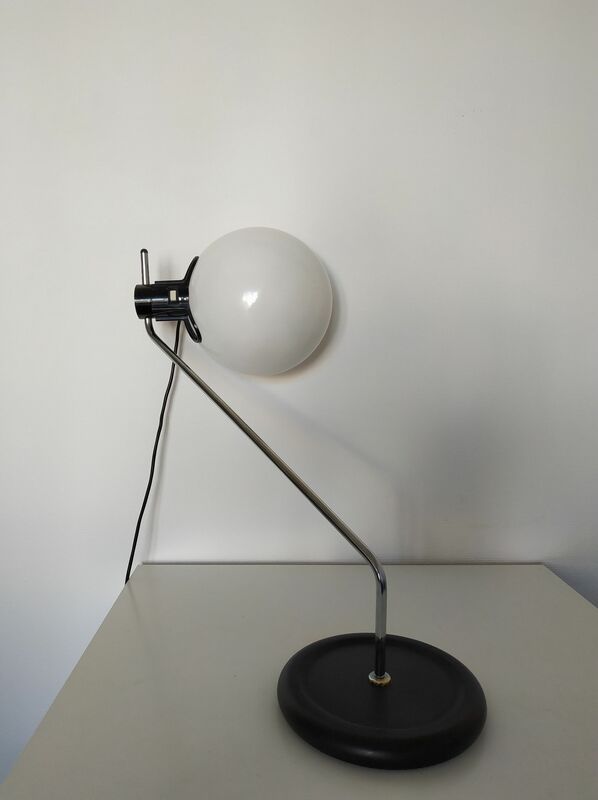 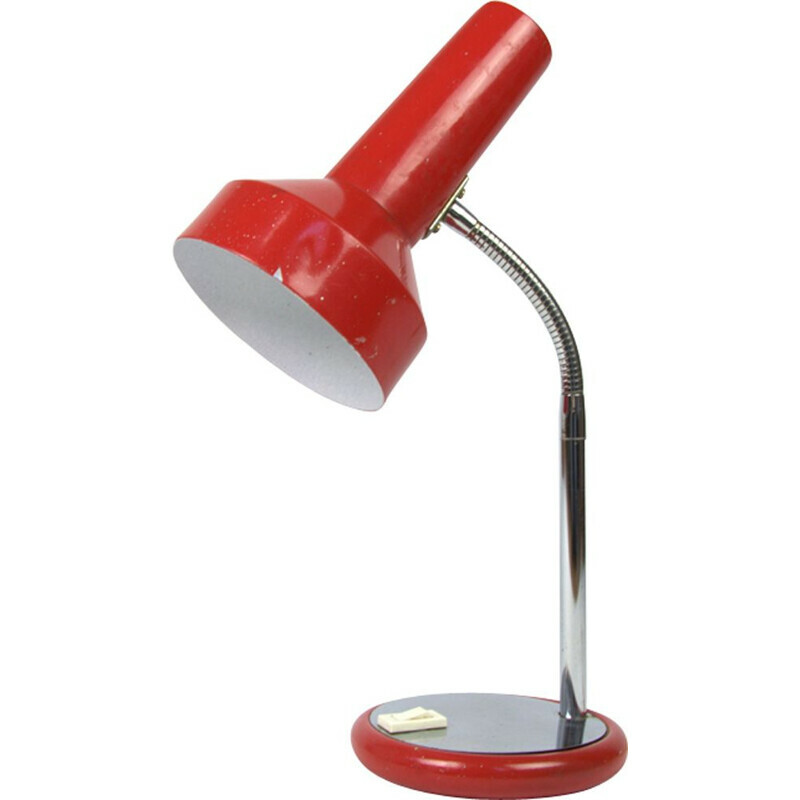 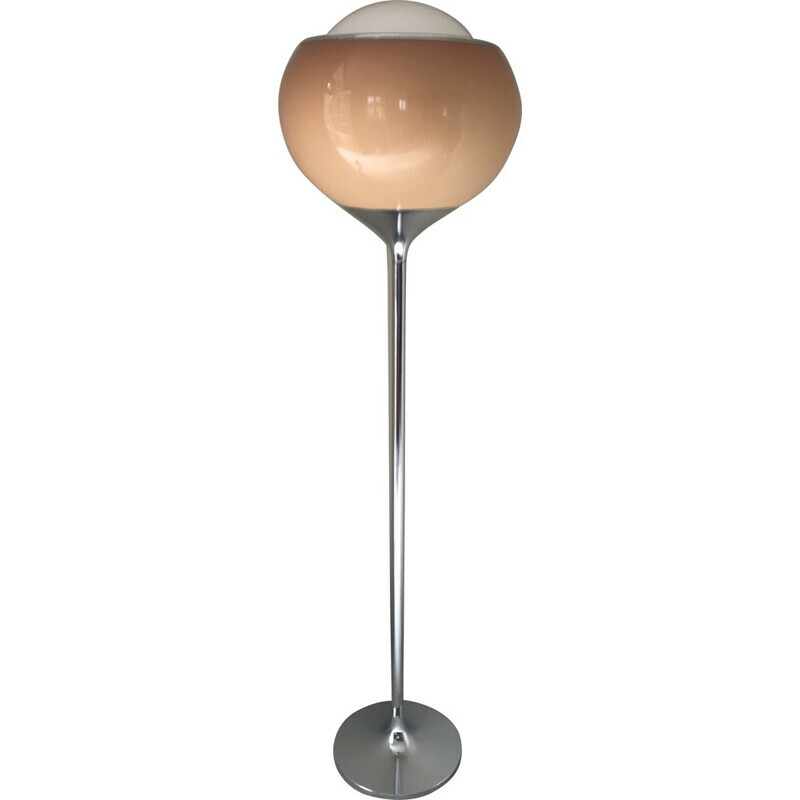 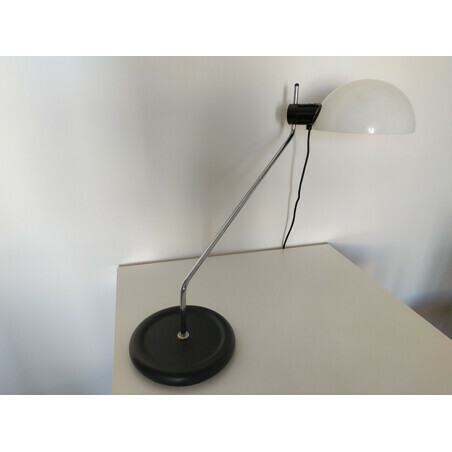 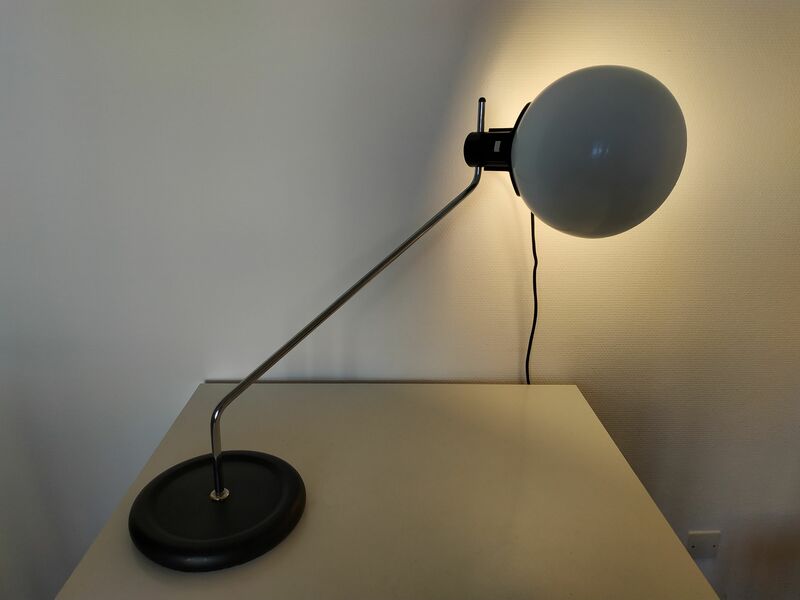 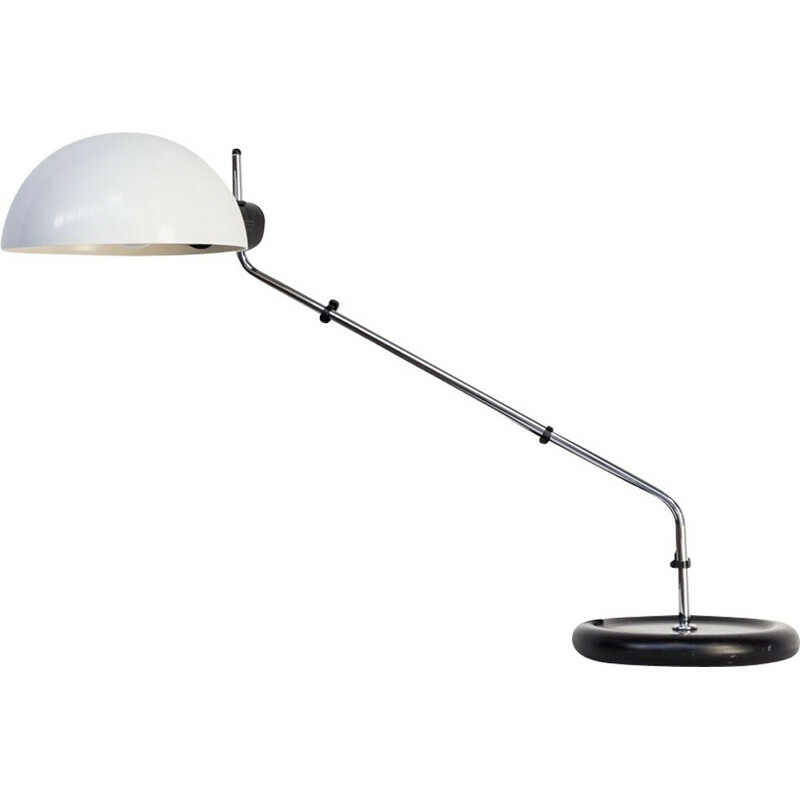 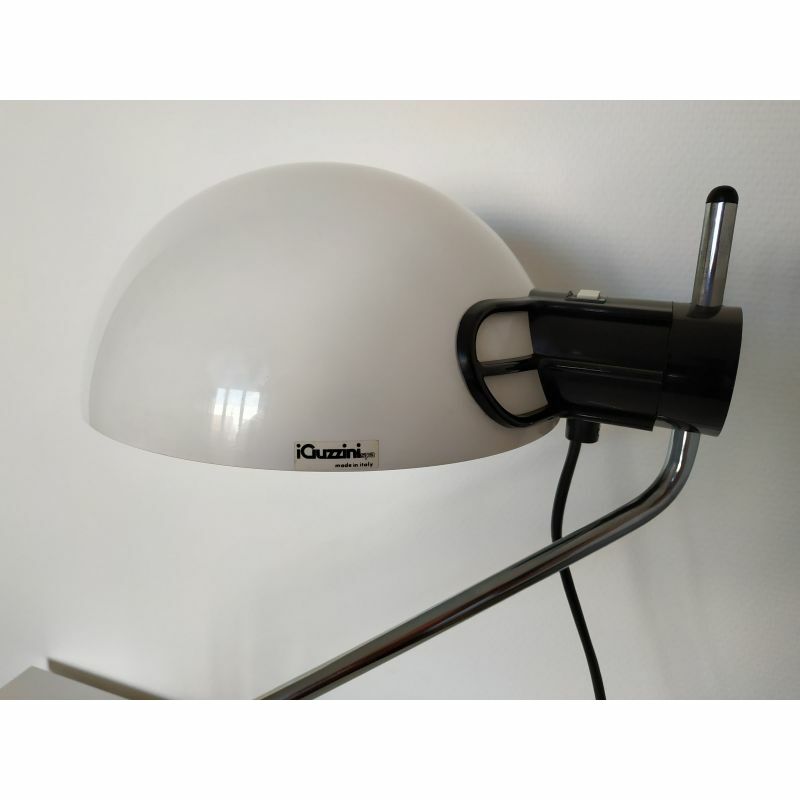 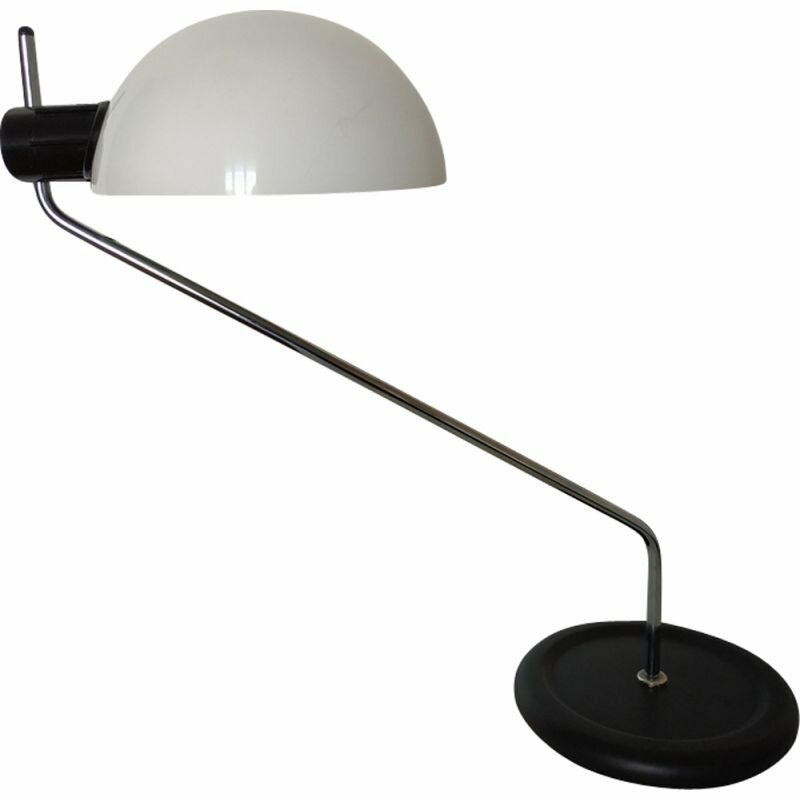 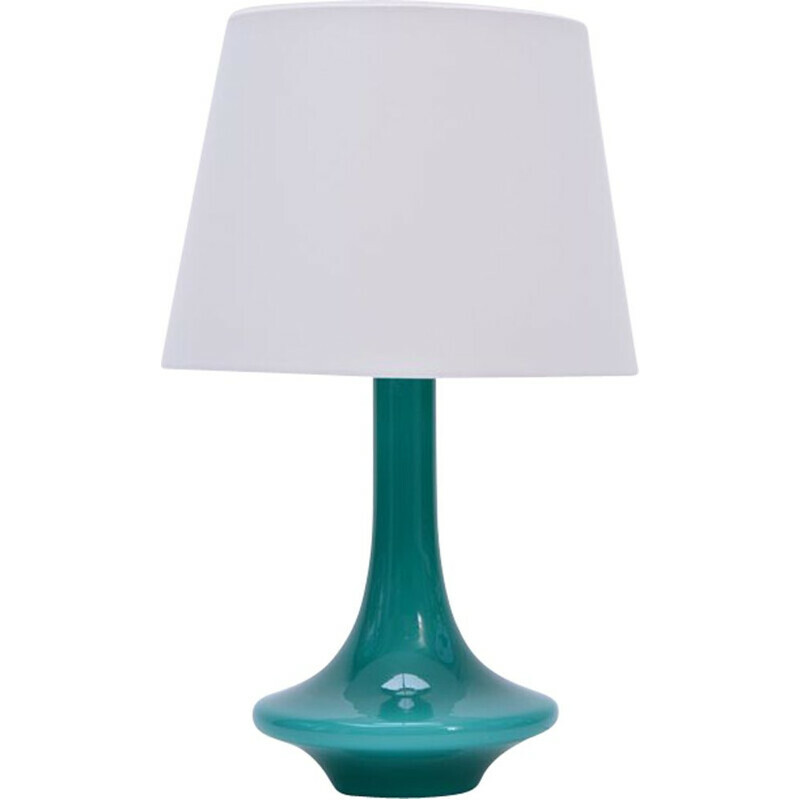 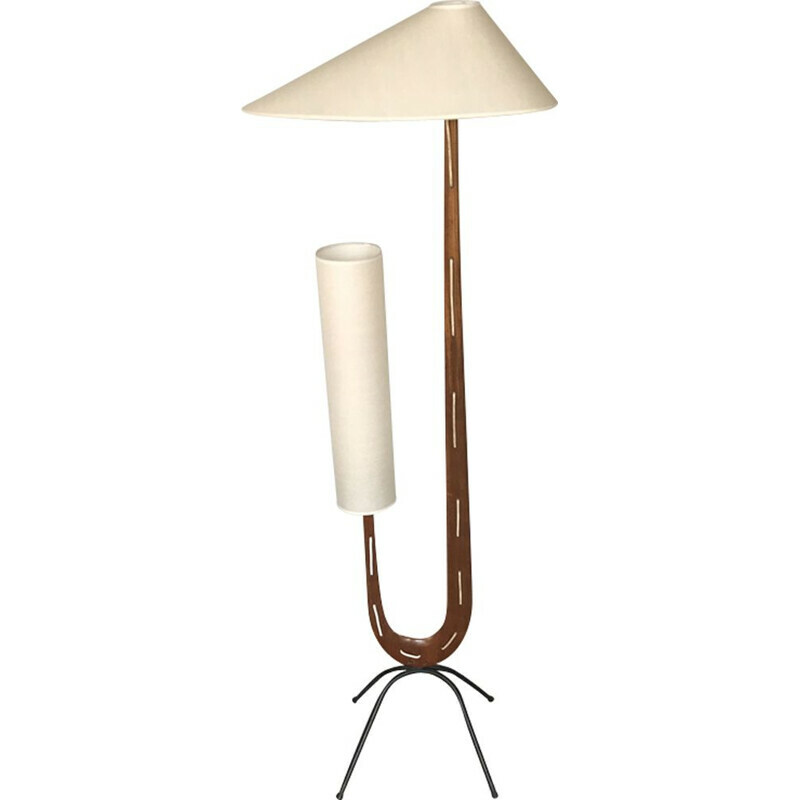 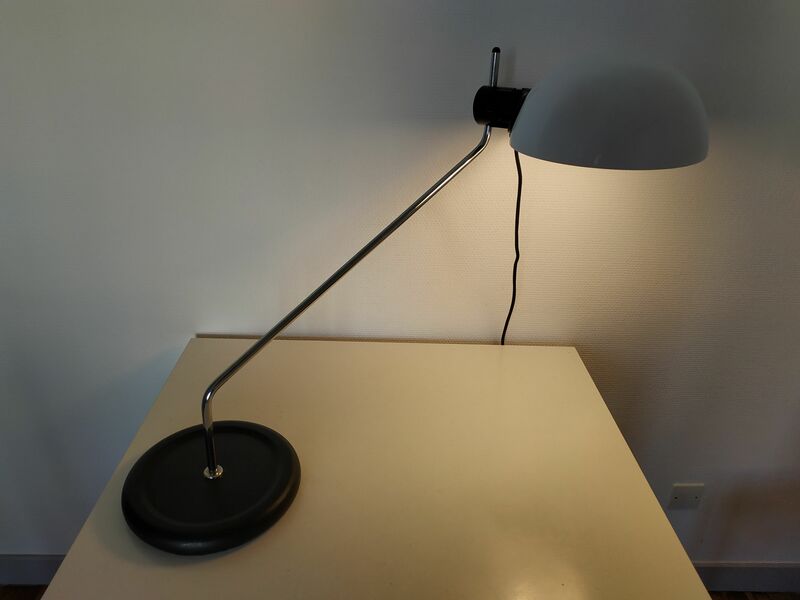 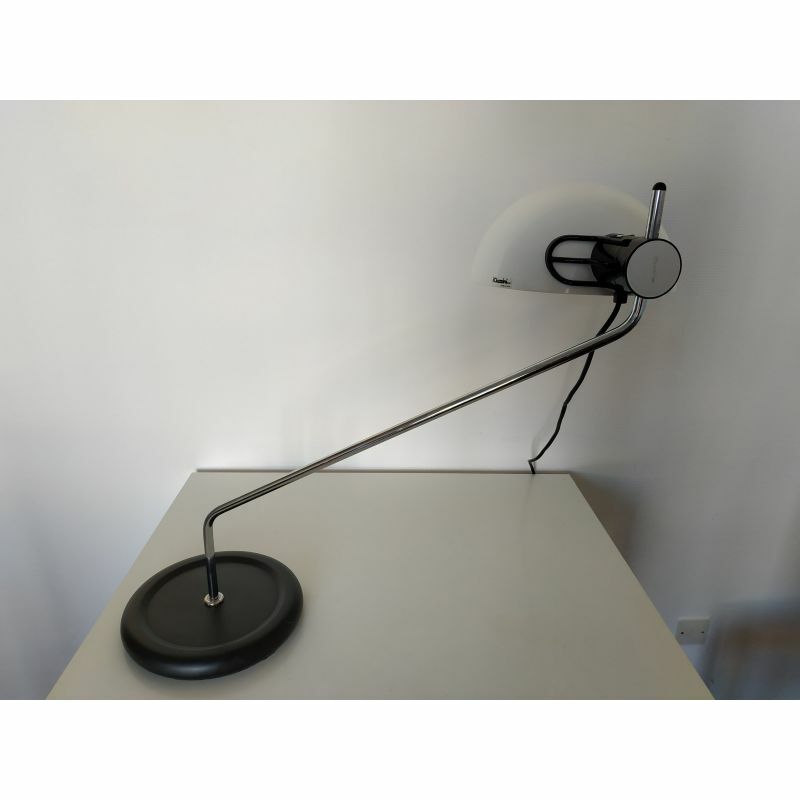 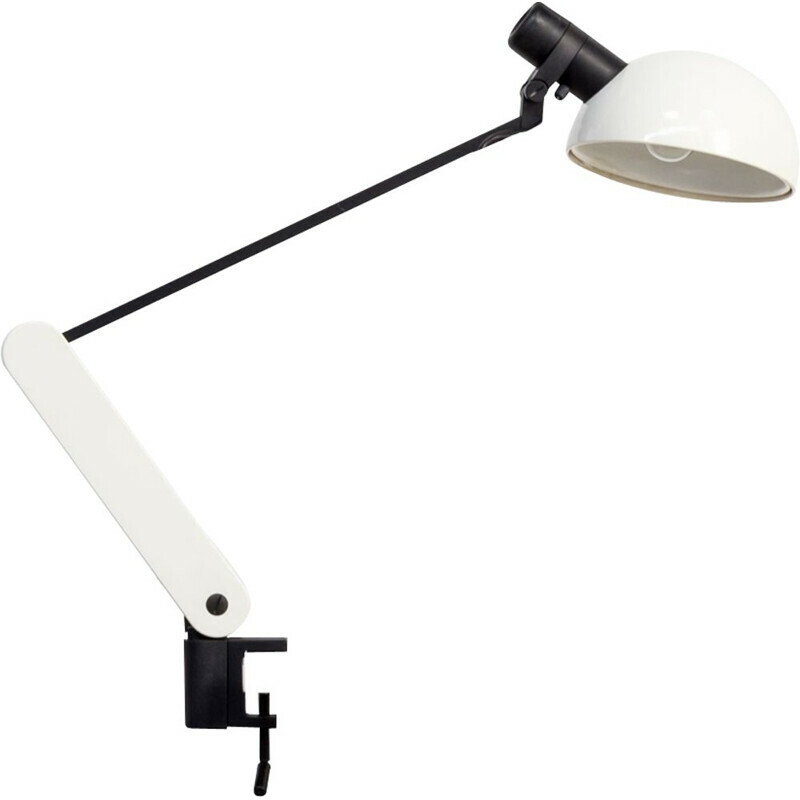 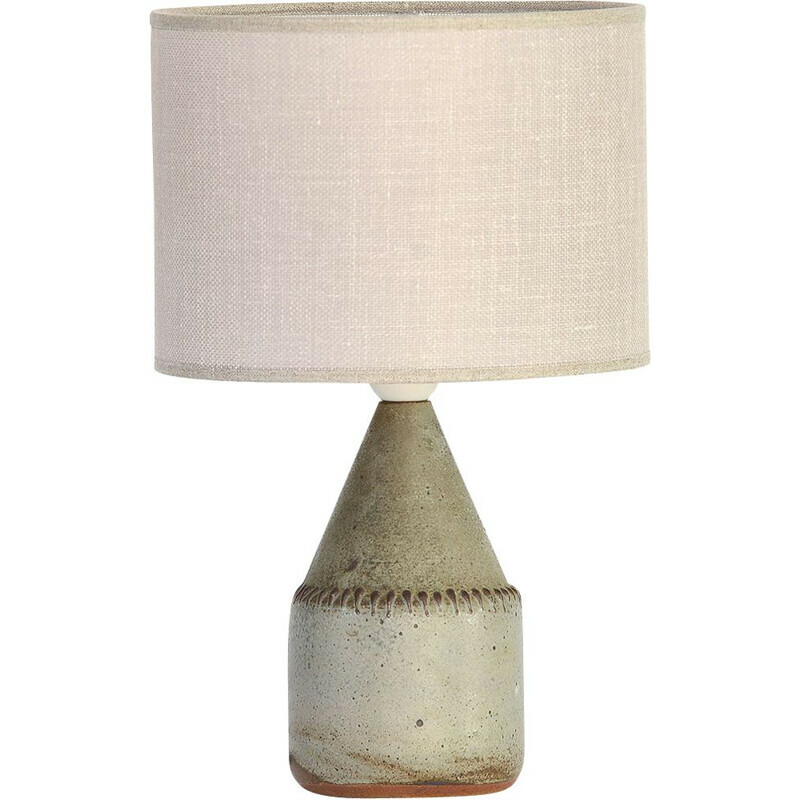 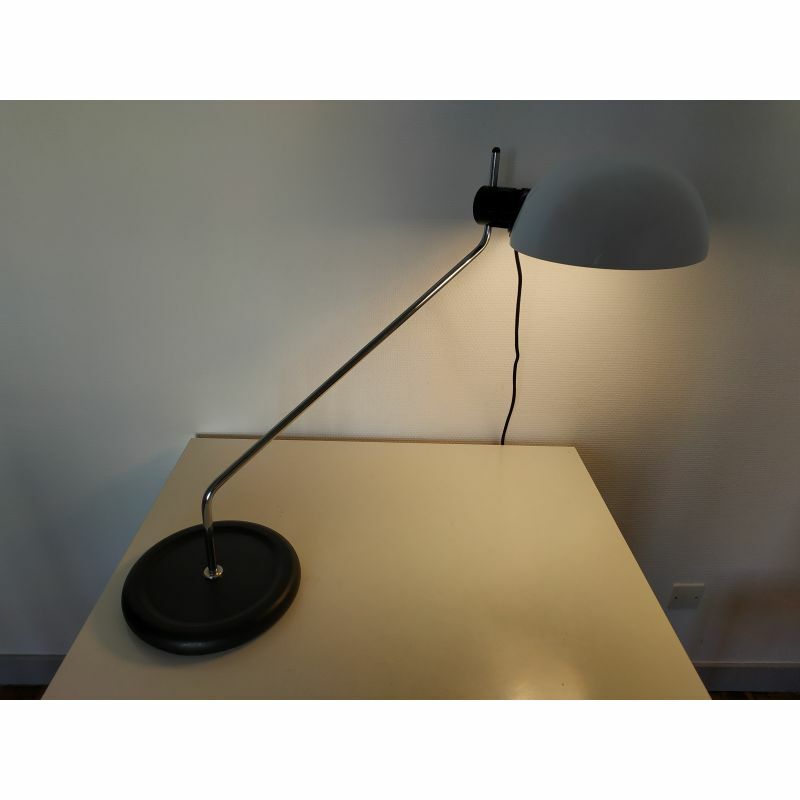 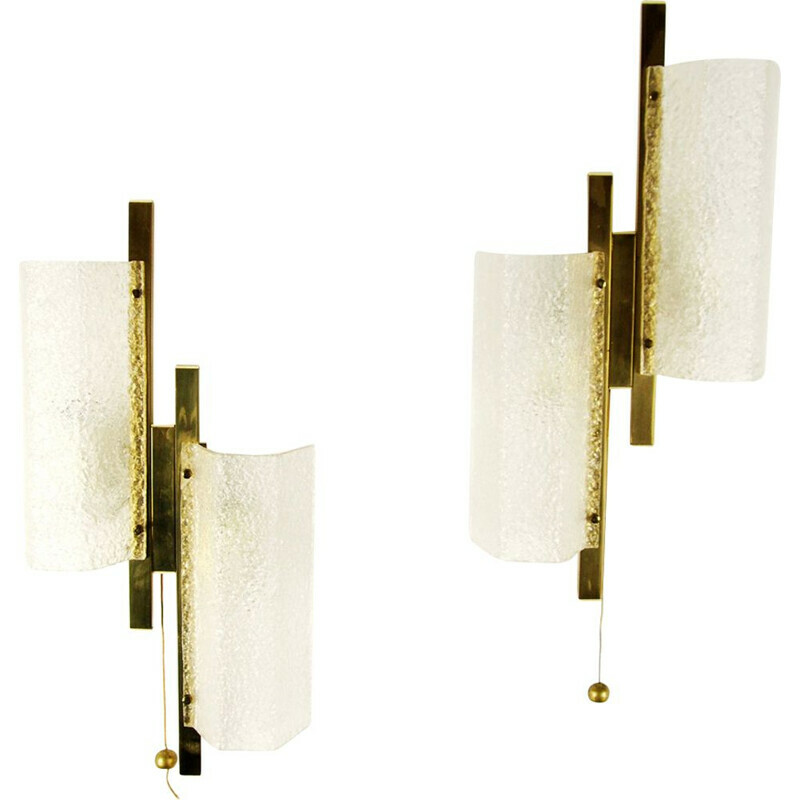 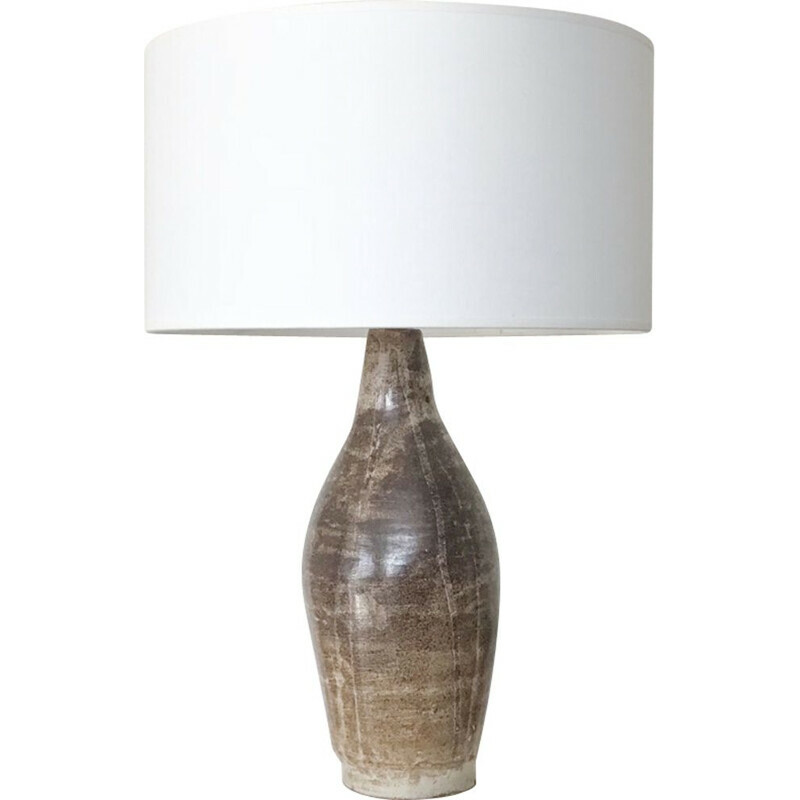 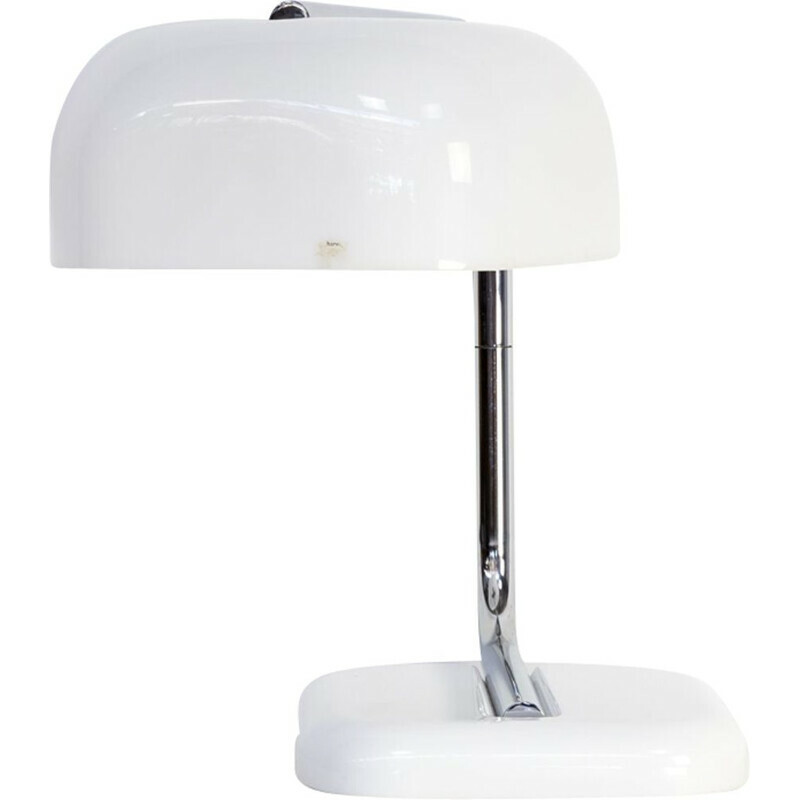 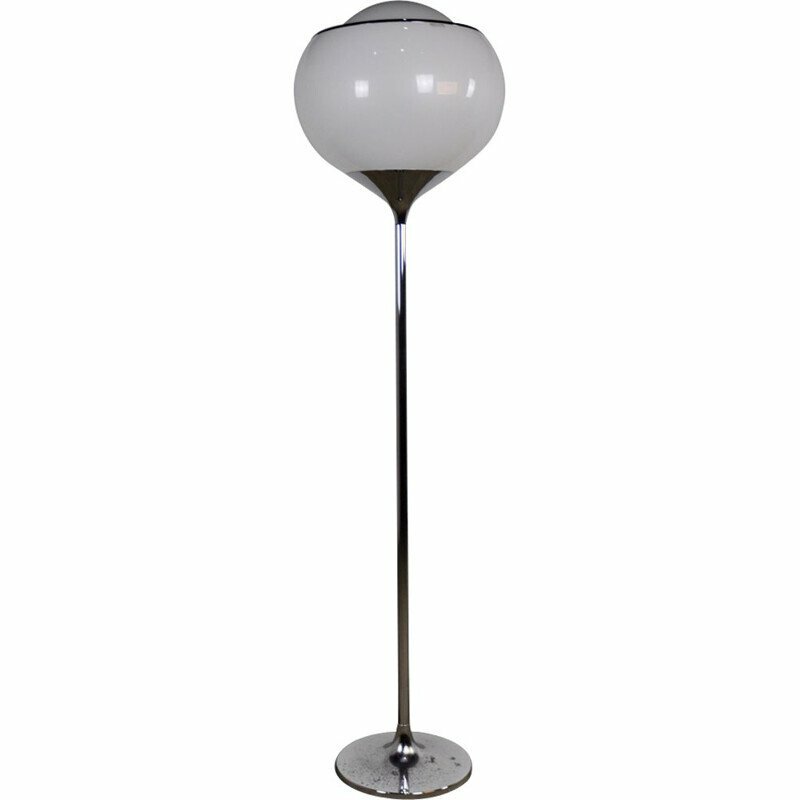 Very elegant Harvey Guzzini desk lamp. 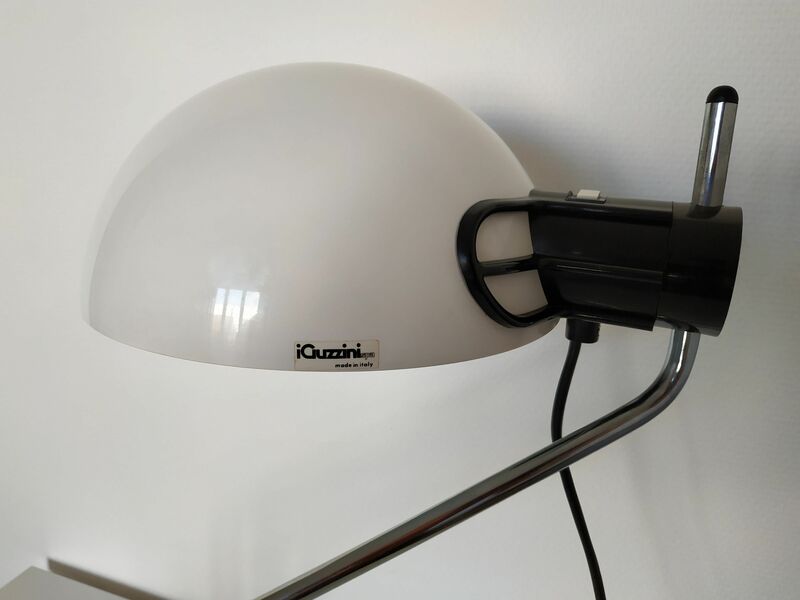 Published in the 1970s by Guzzini. 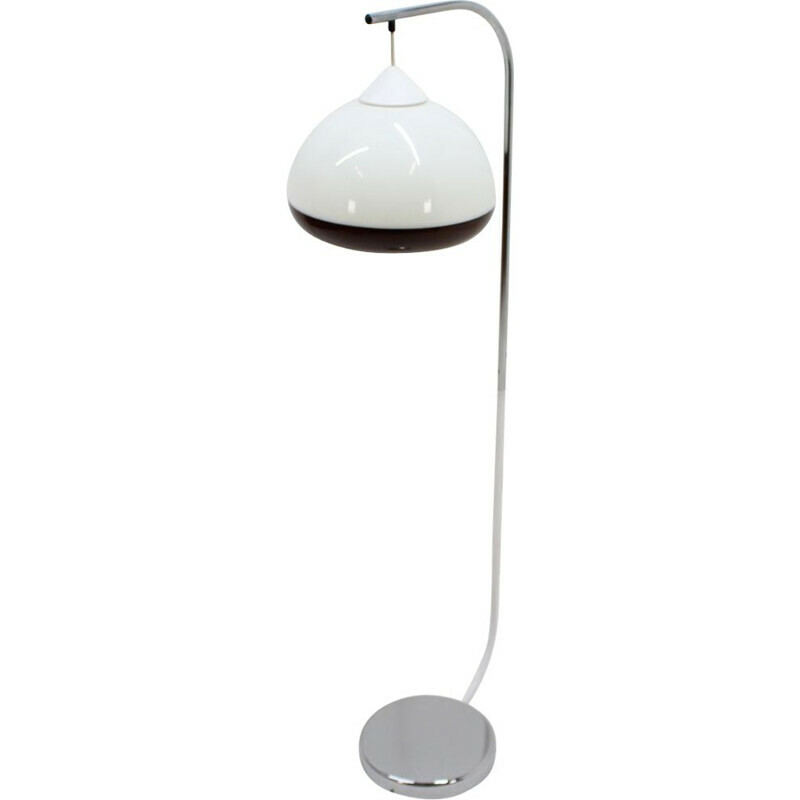 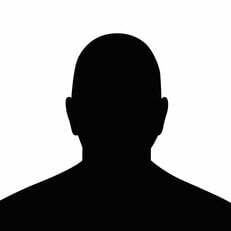 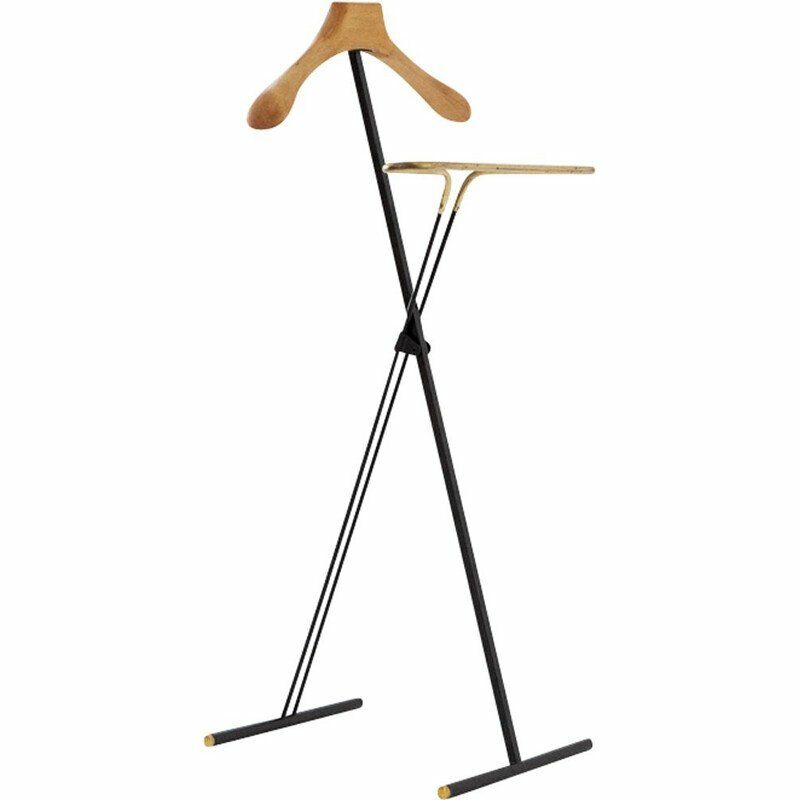 Sleek and minimalist design. 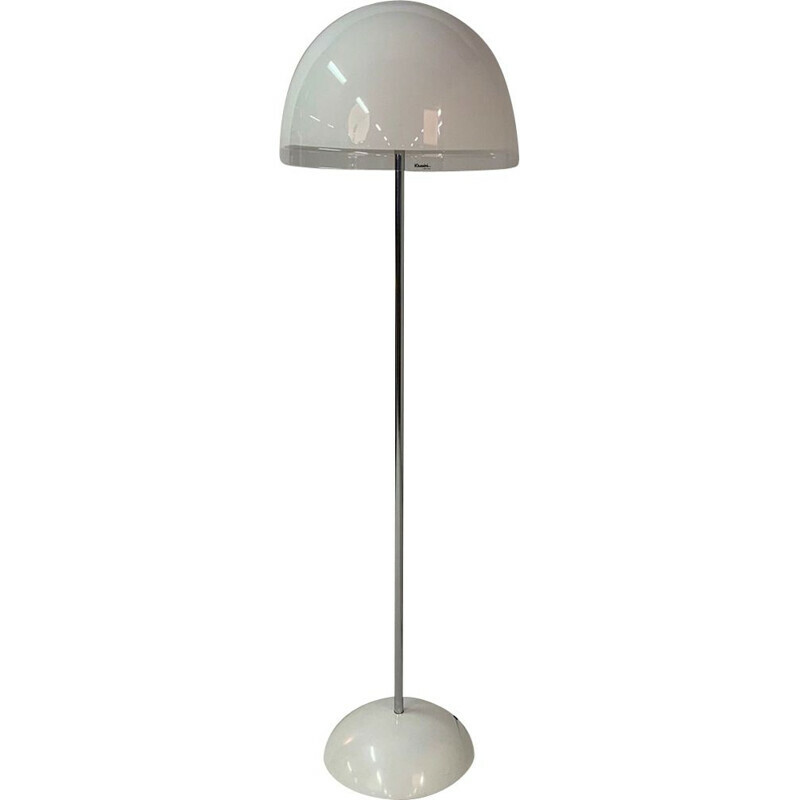 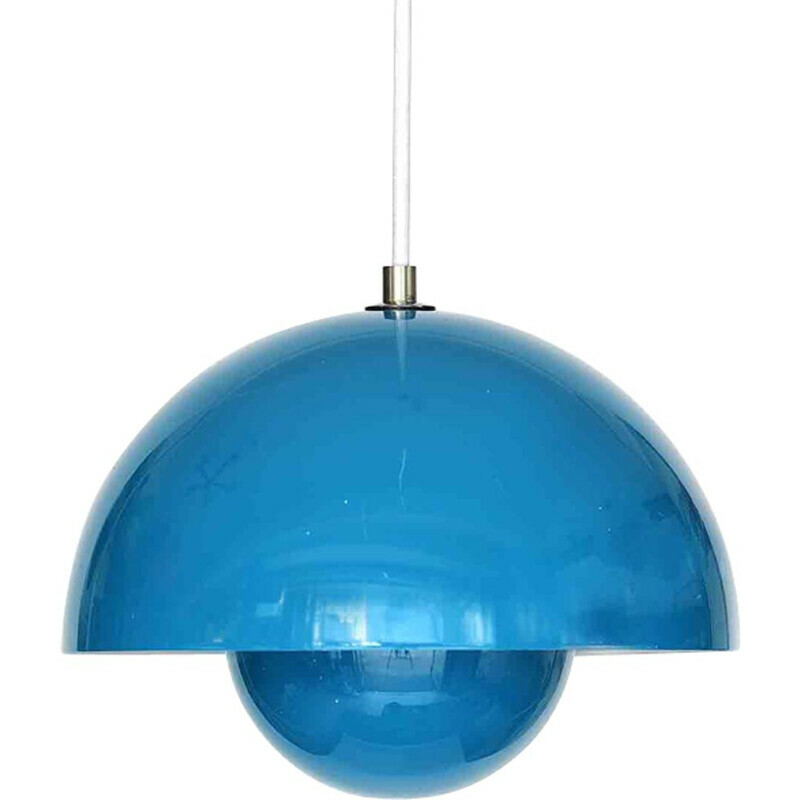 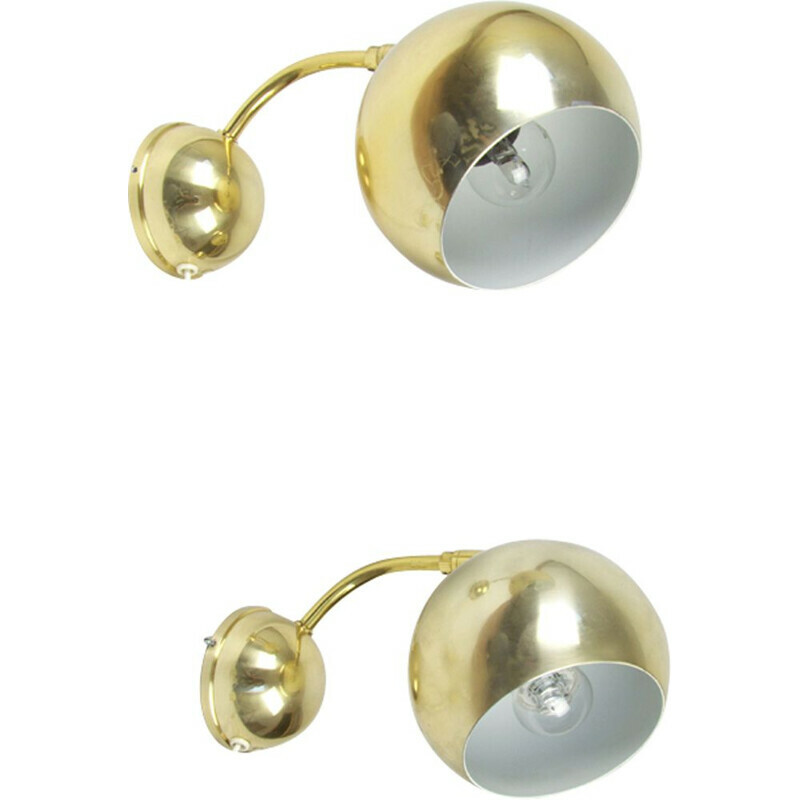 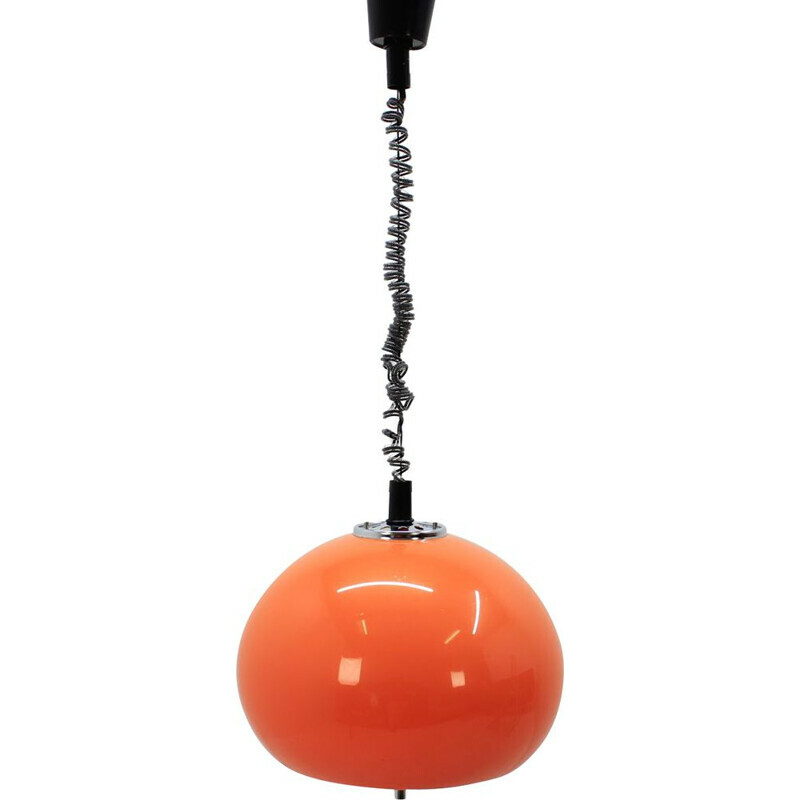 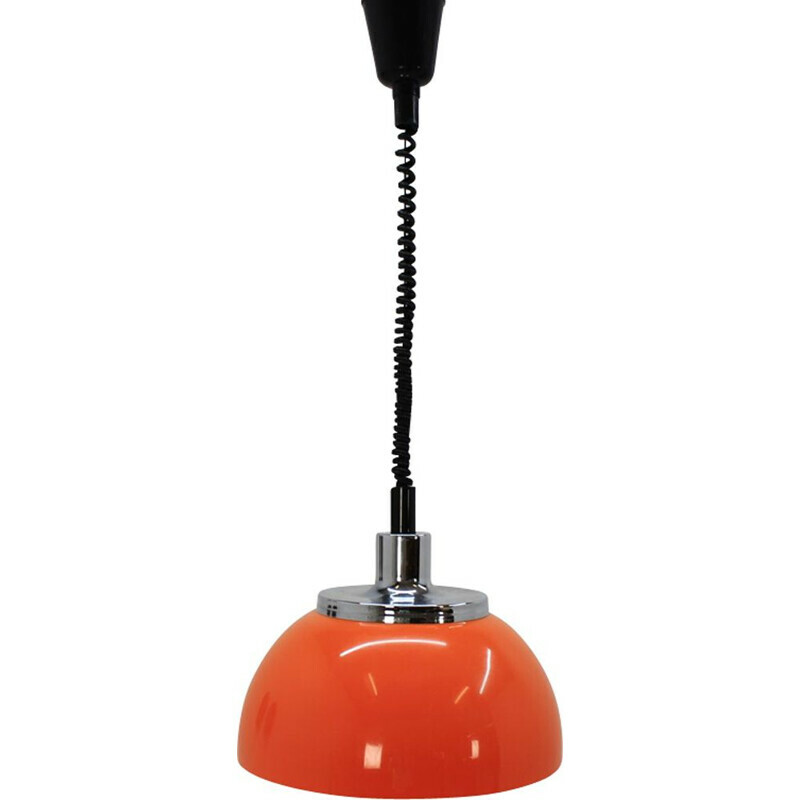 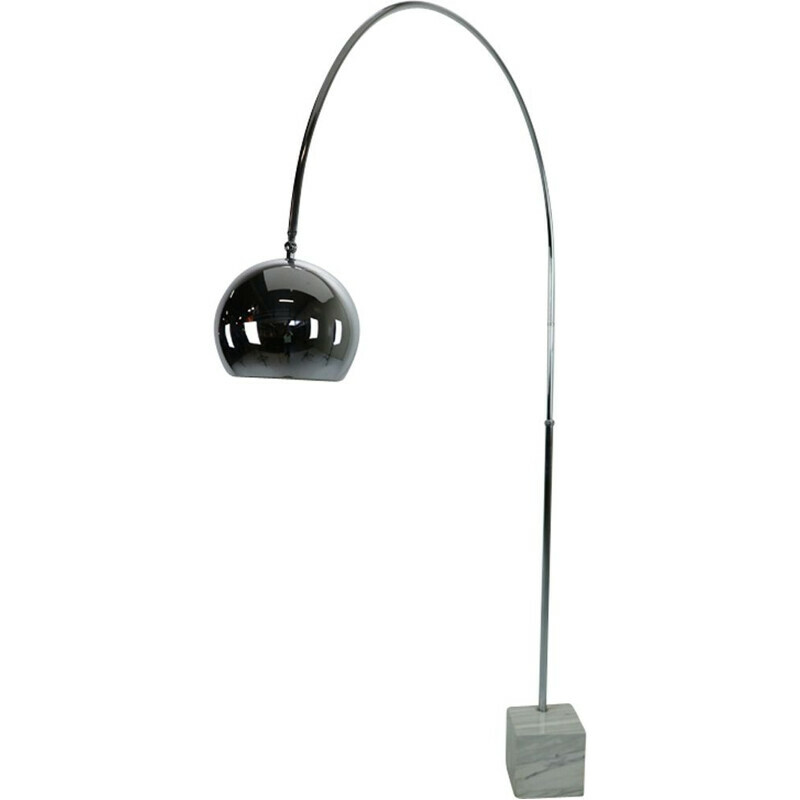 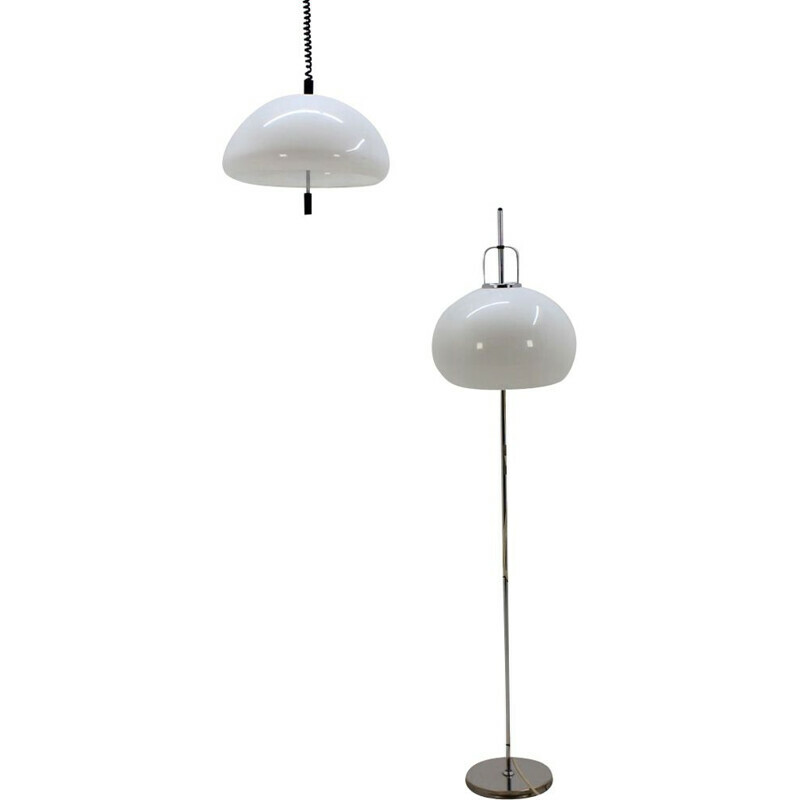 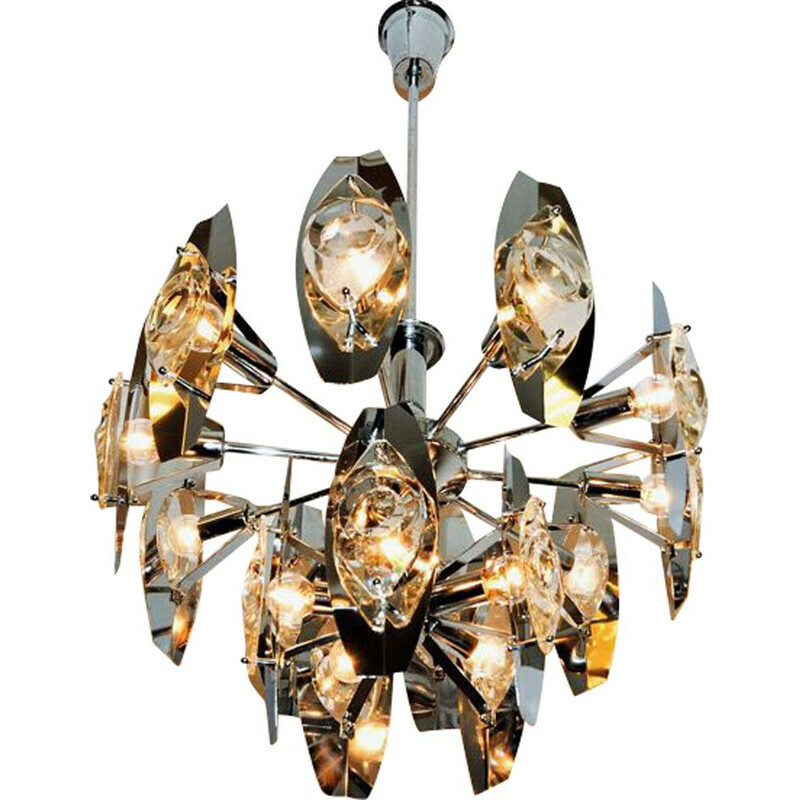 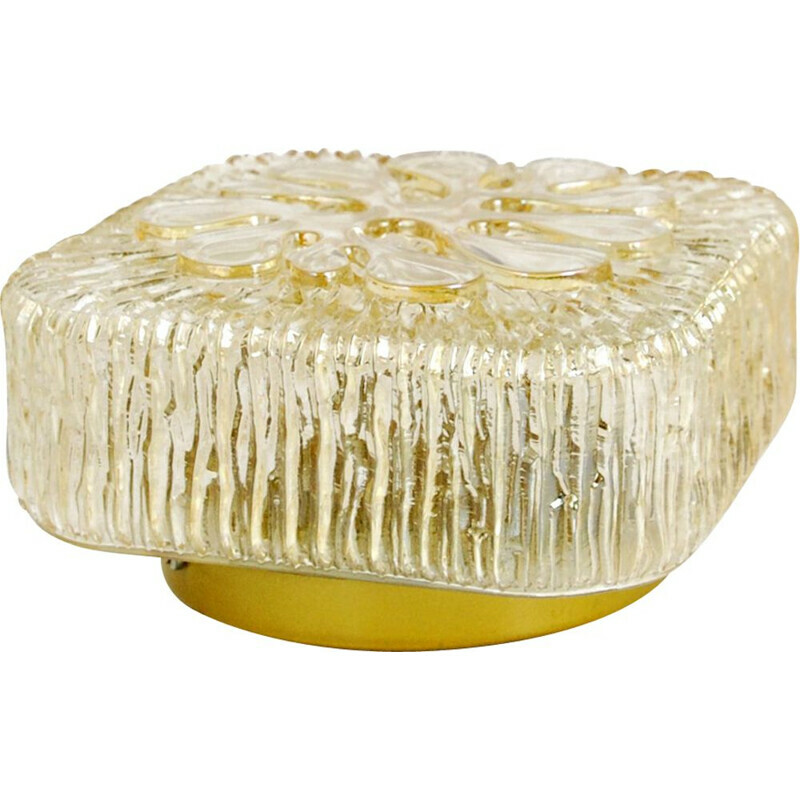 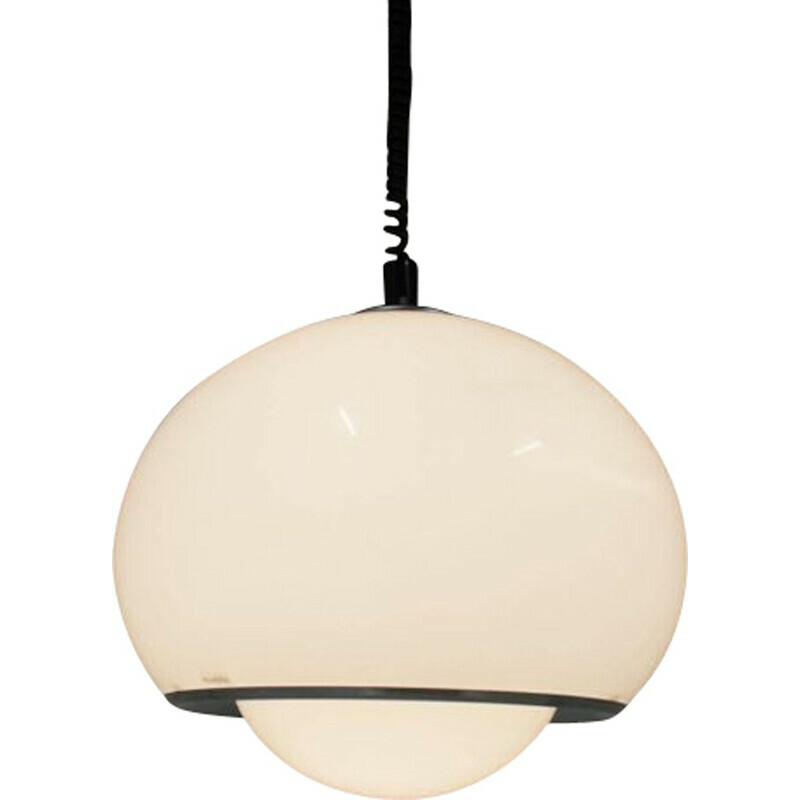 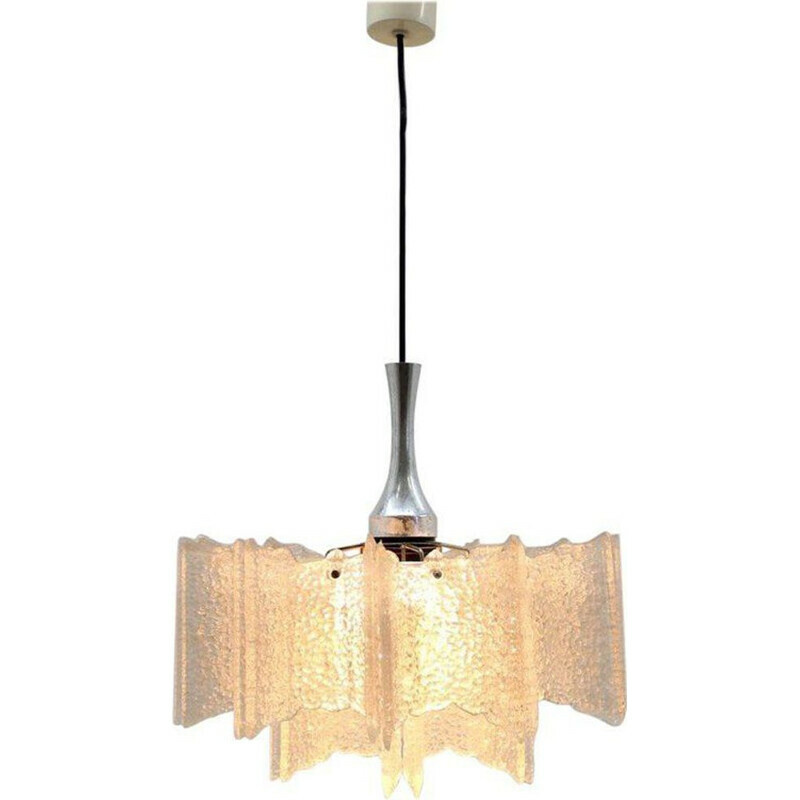 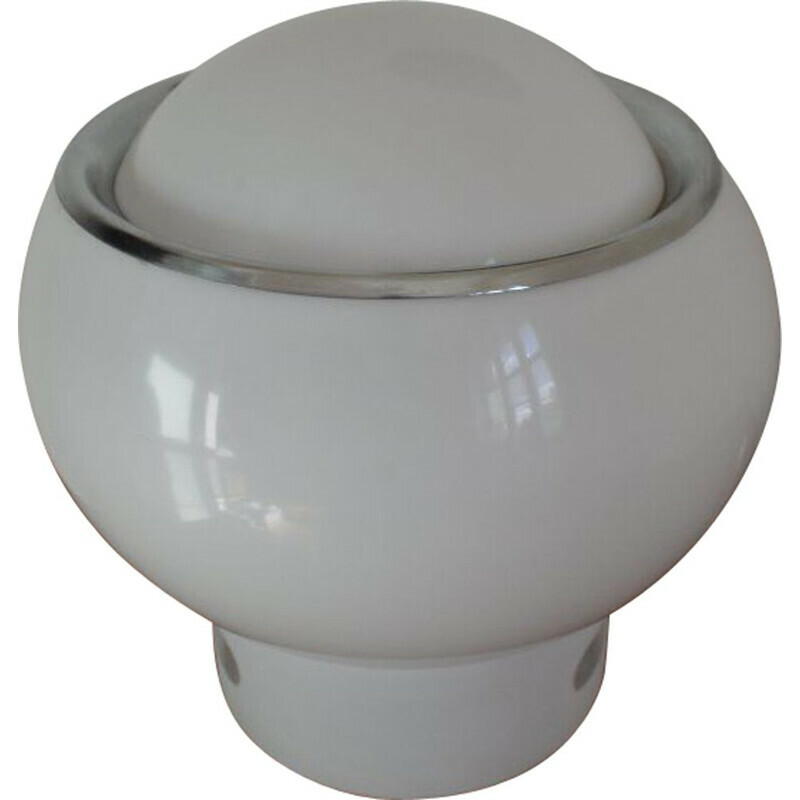 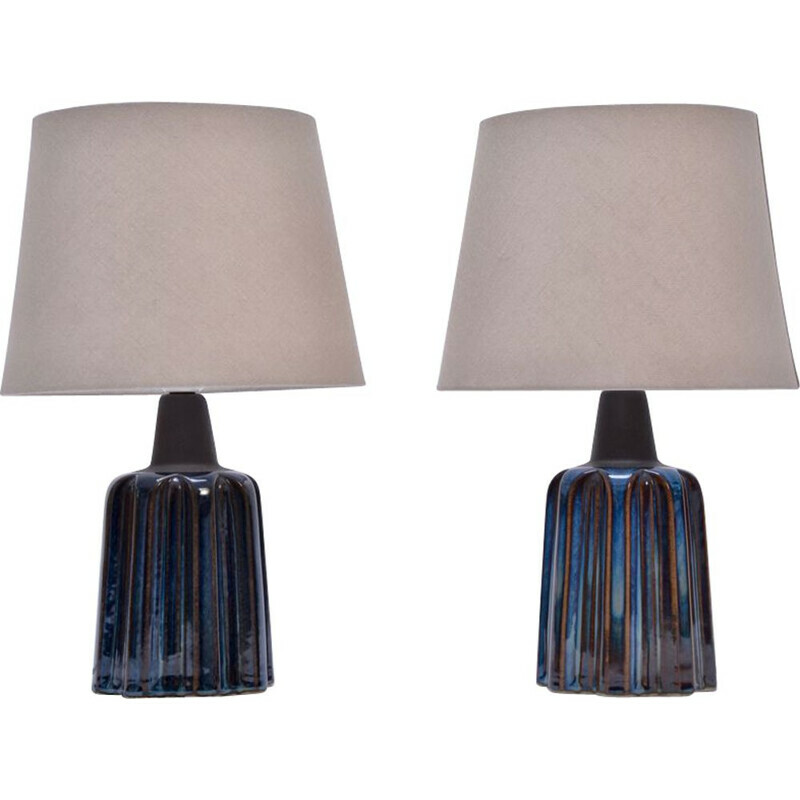 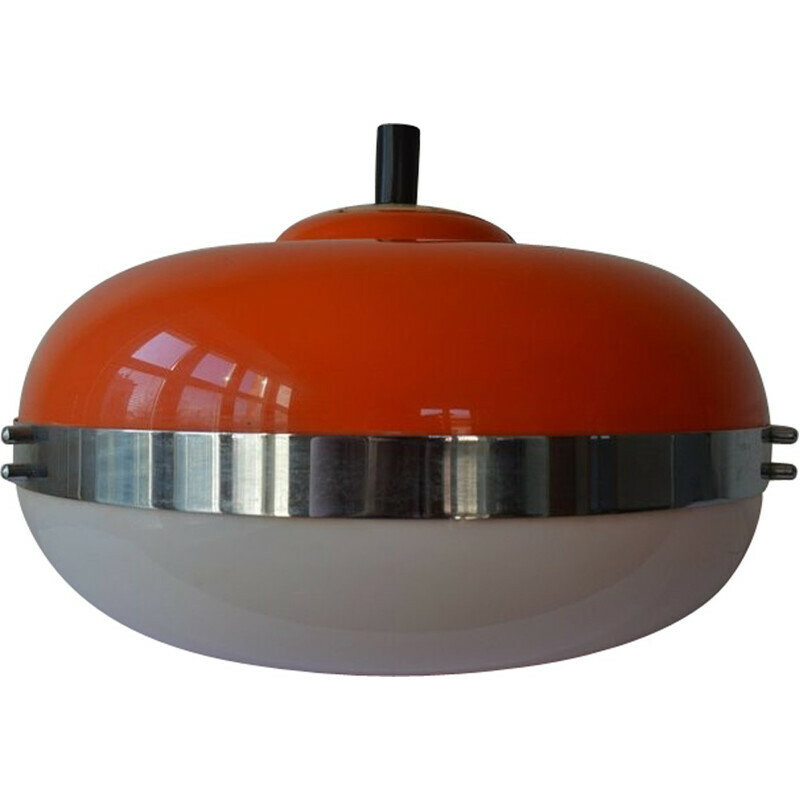 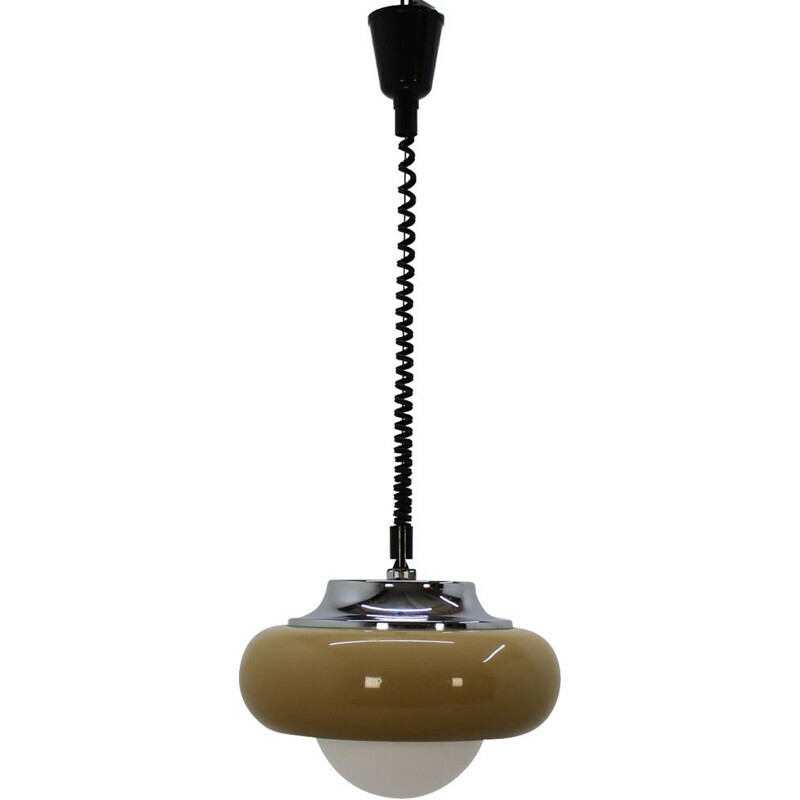 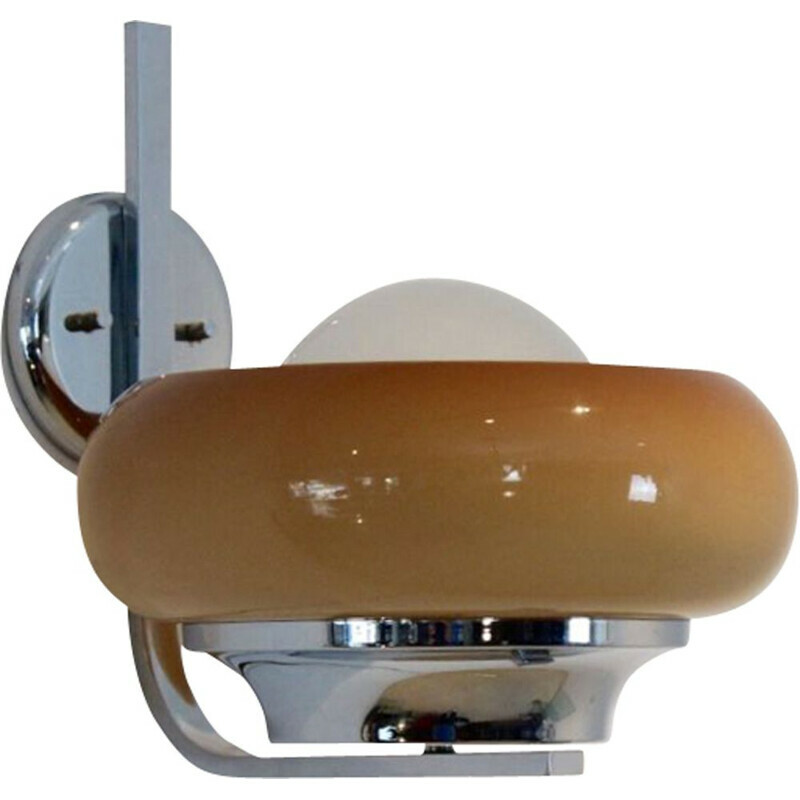 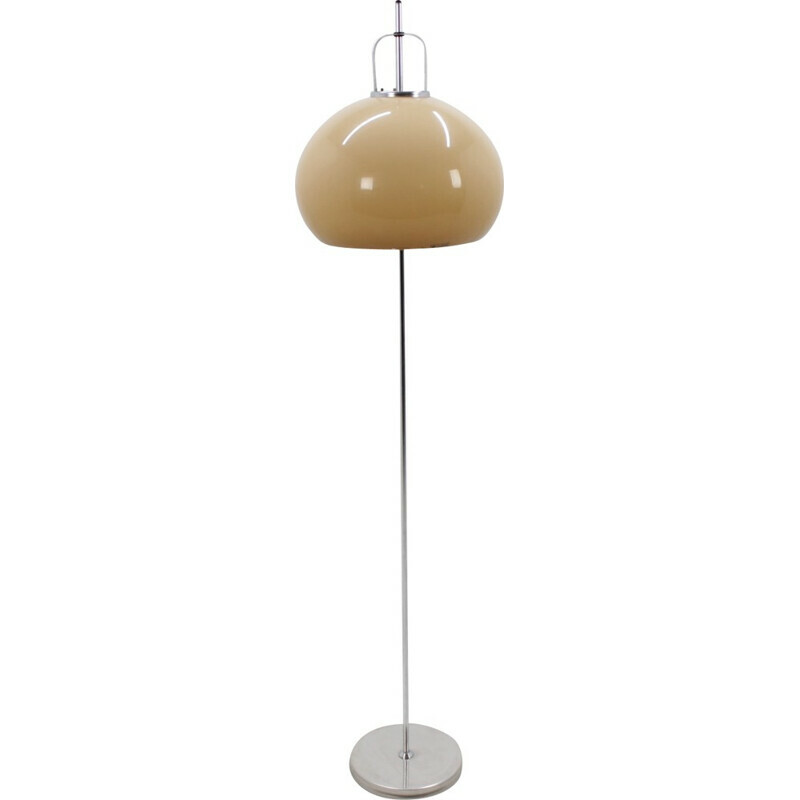 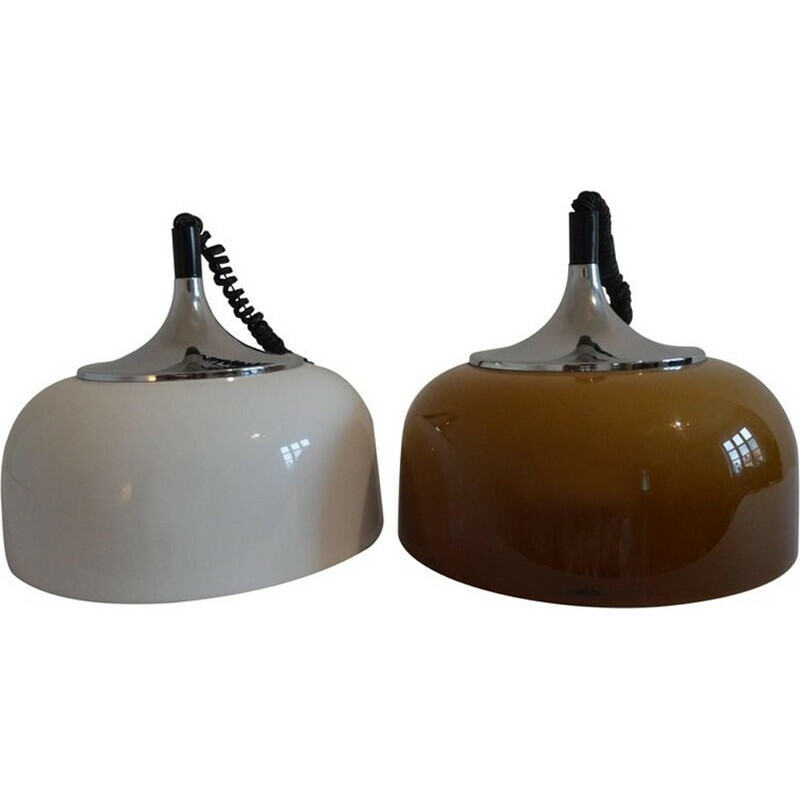 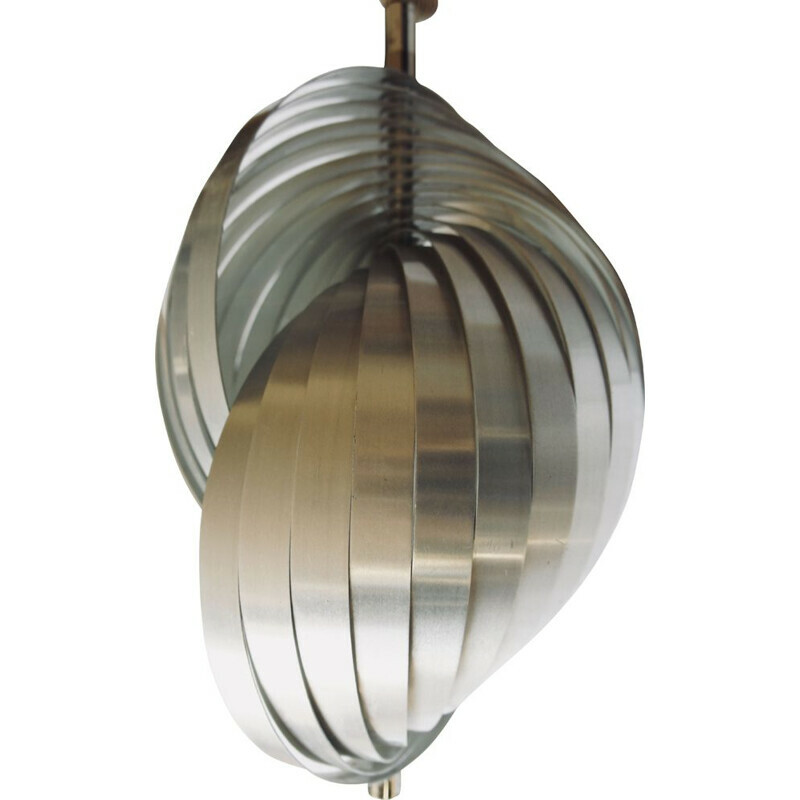 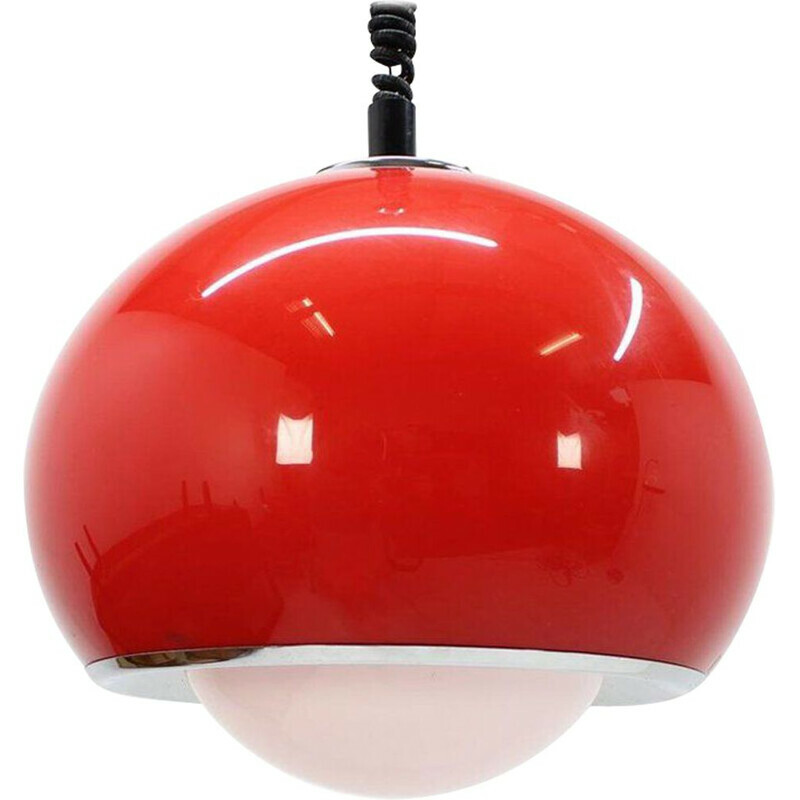 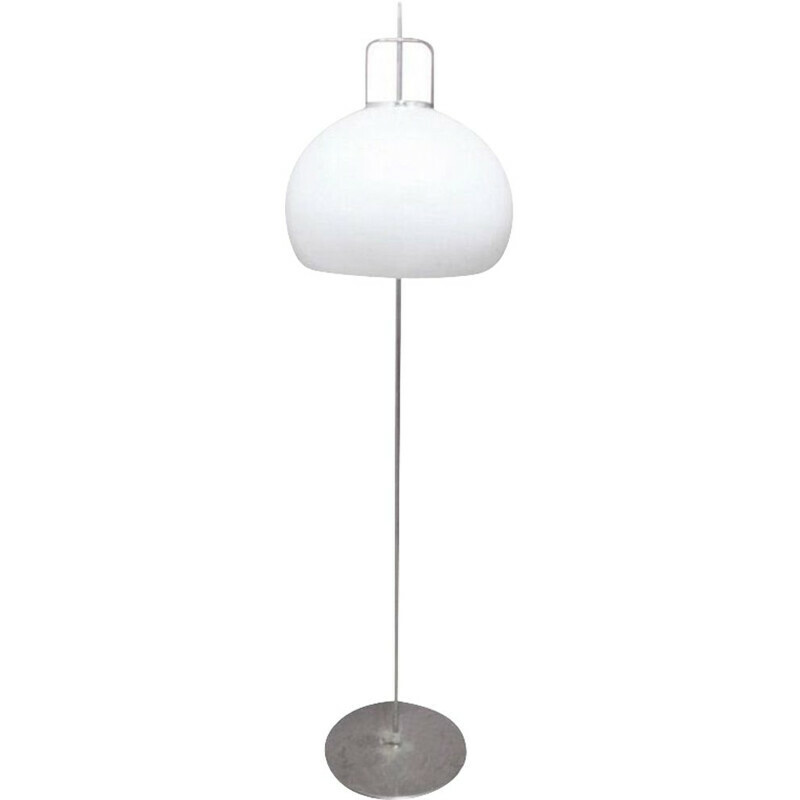 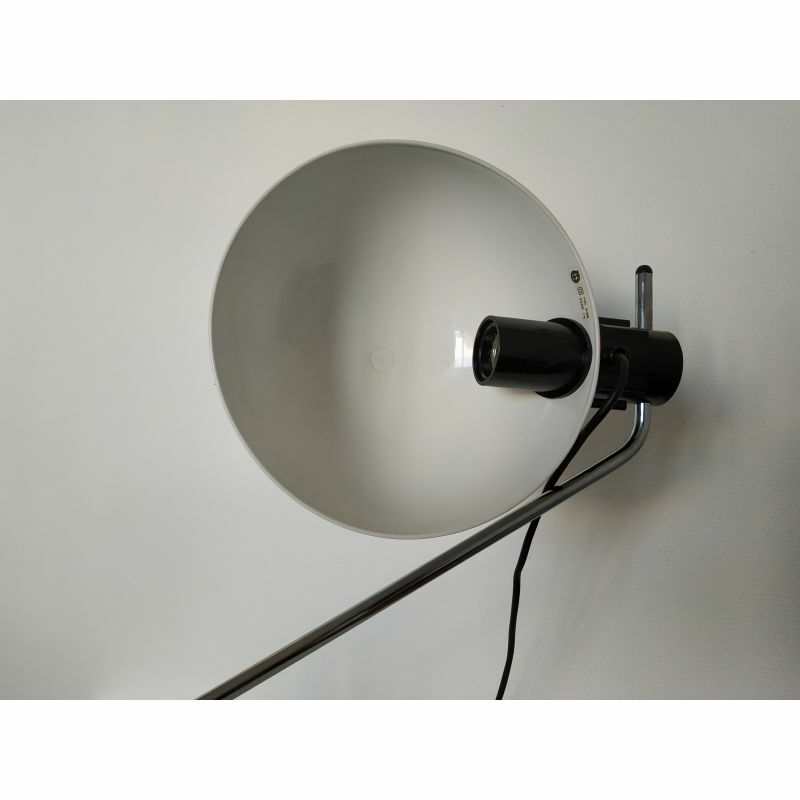 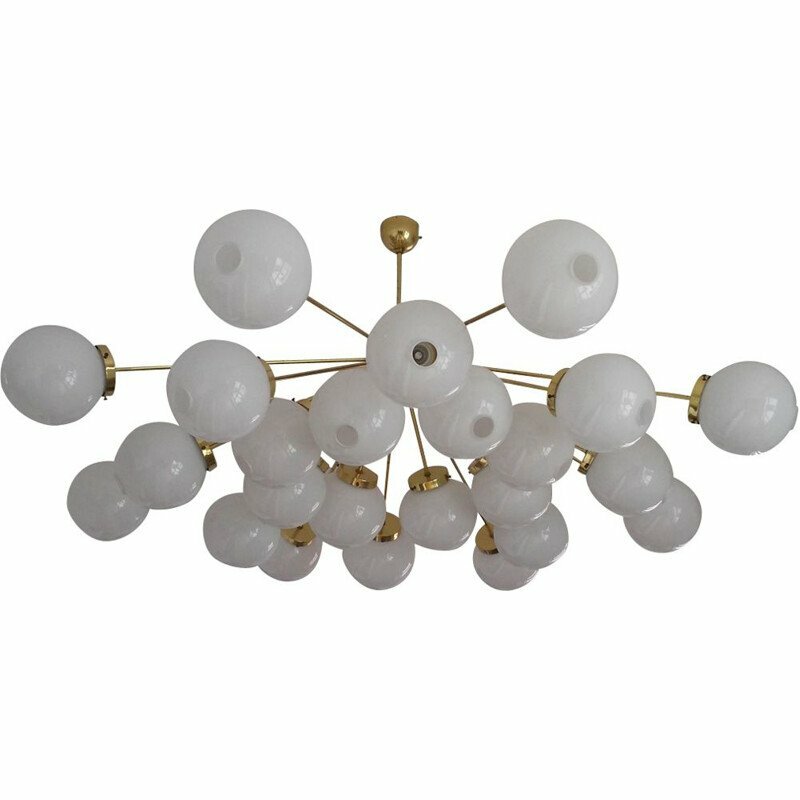 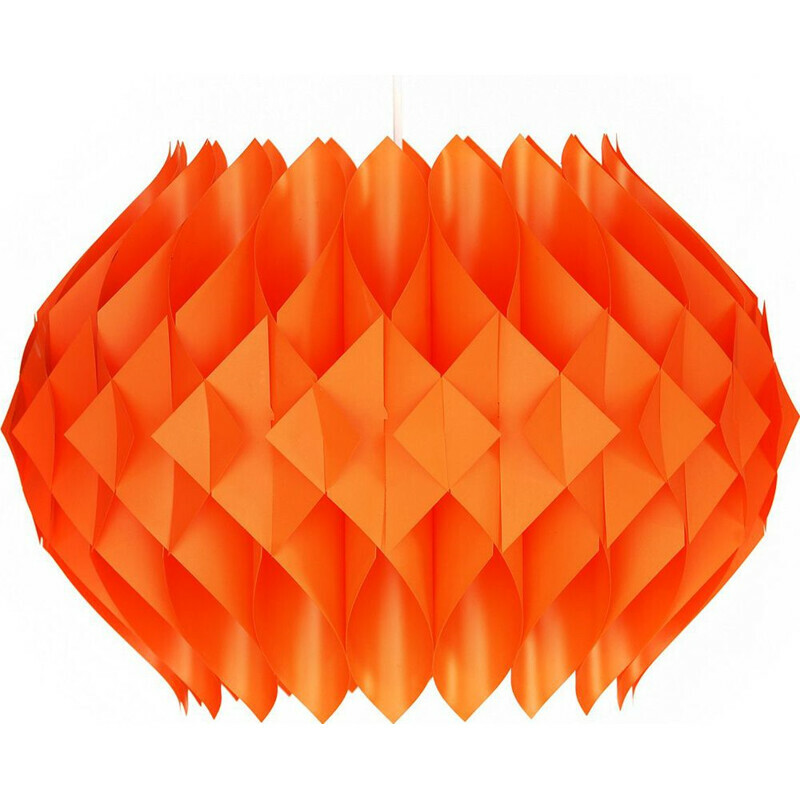 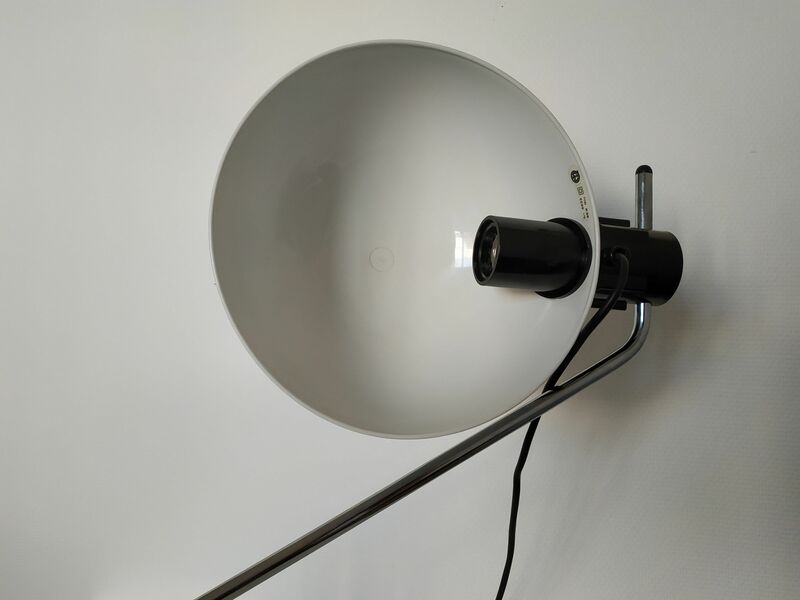 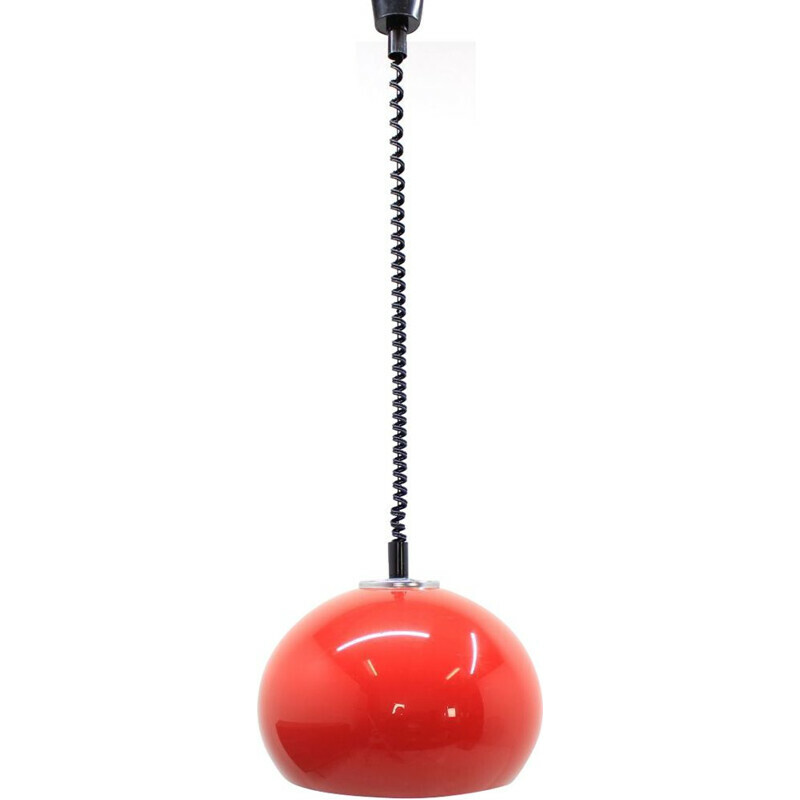 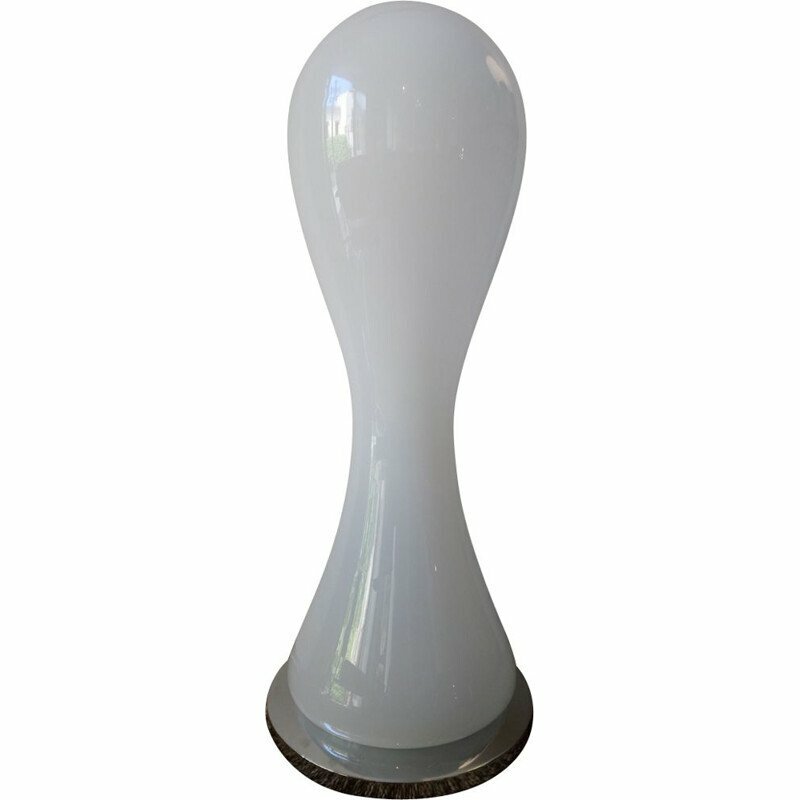 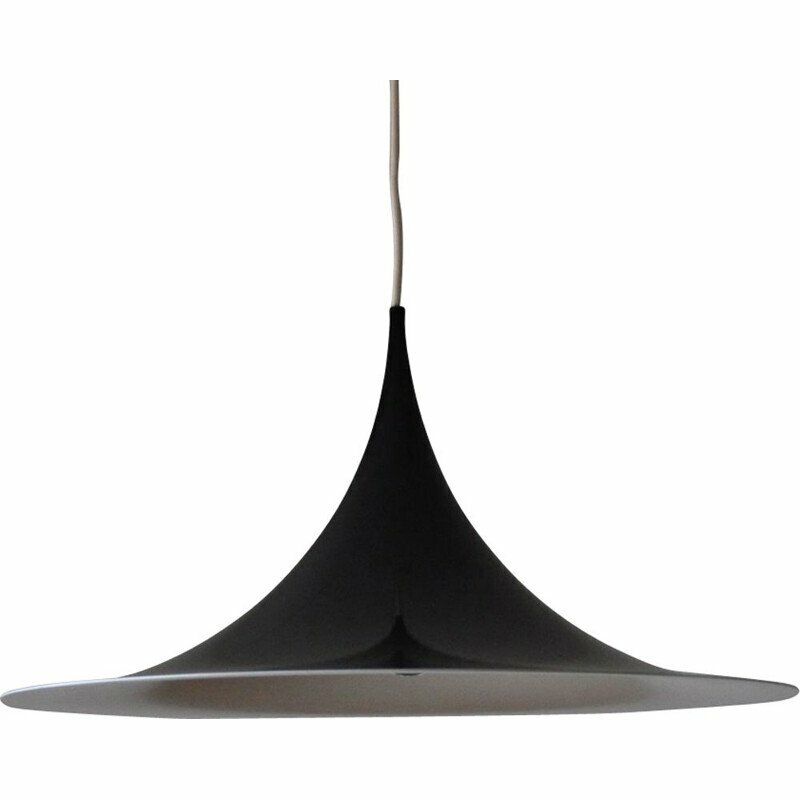 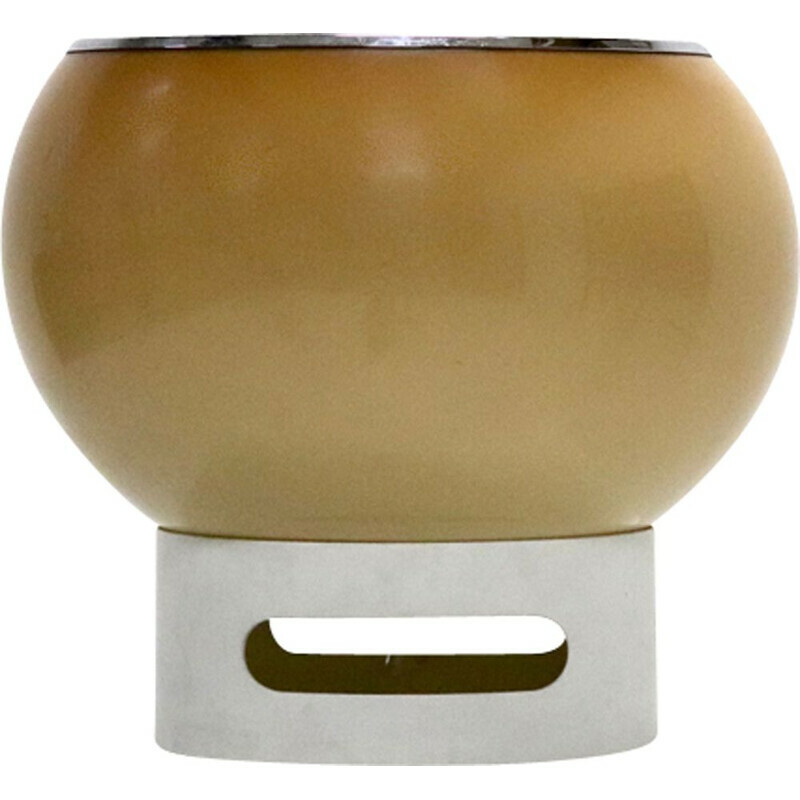 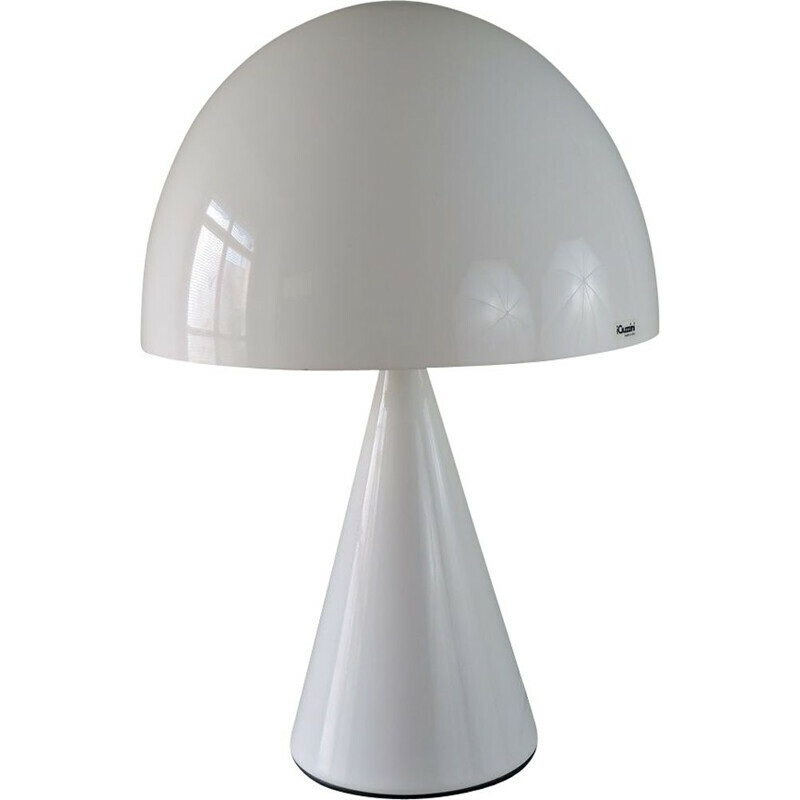 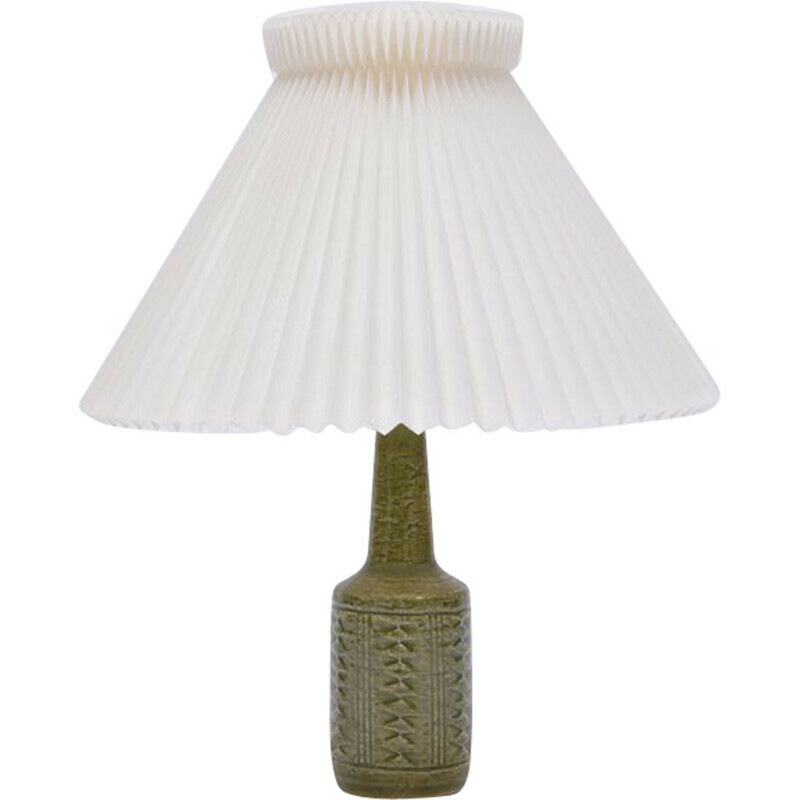 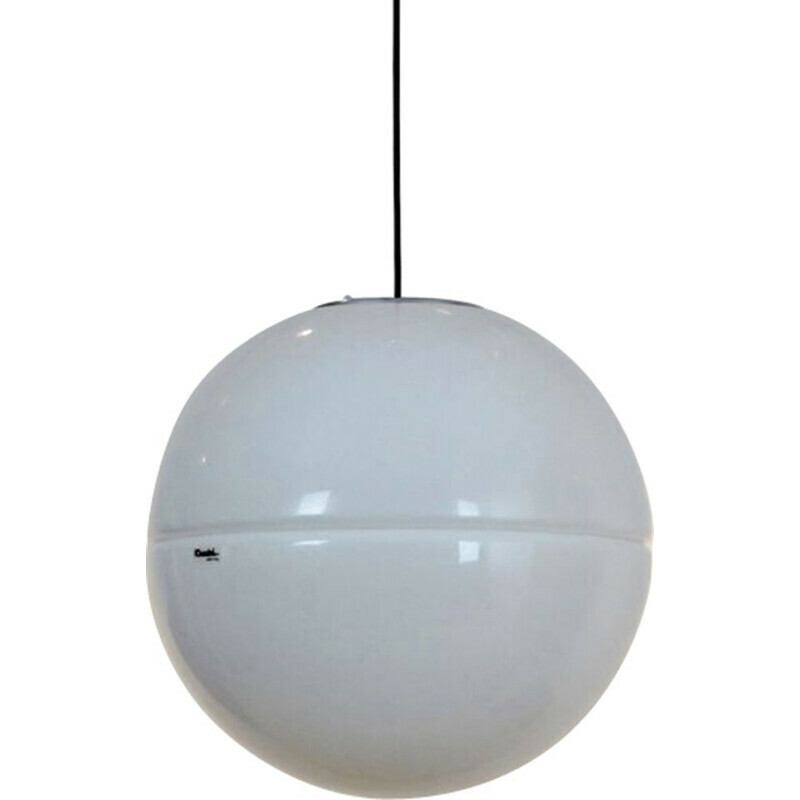 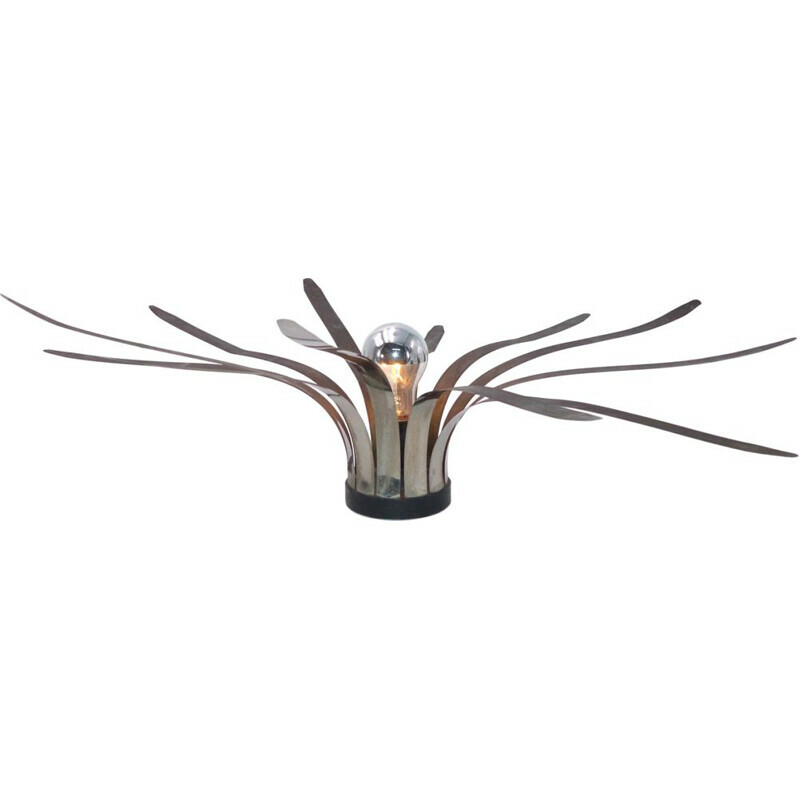 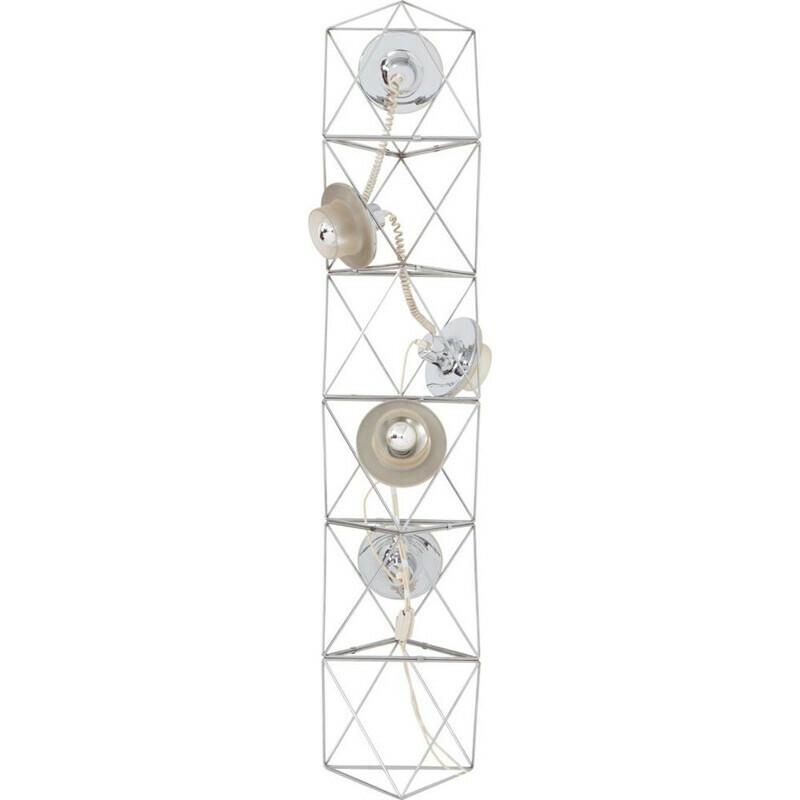 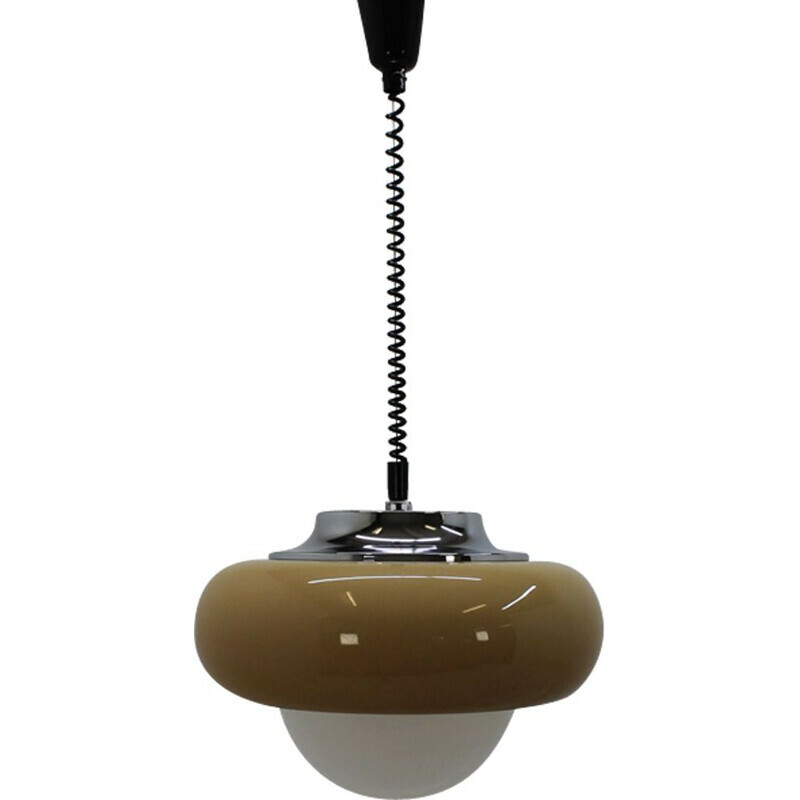 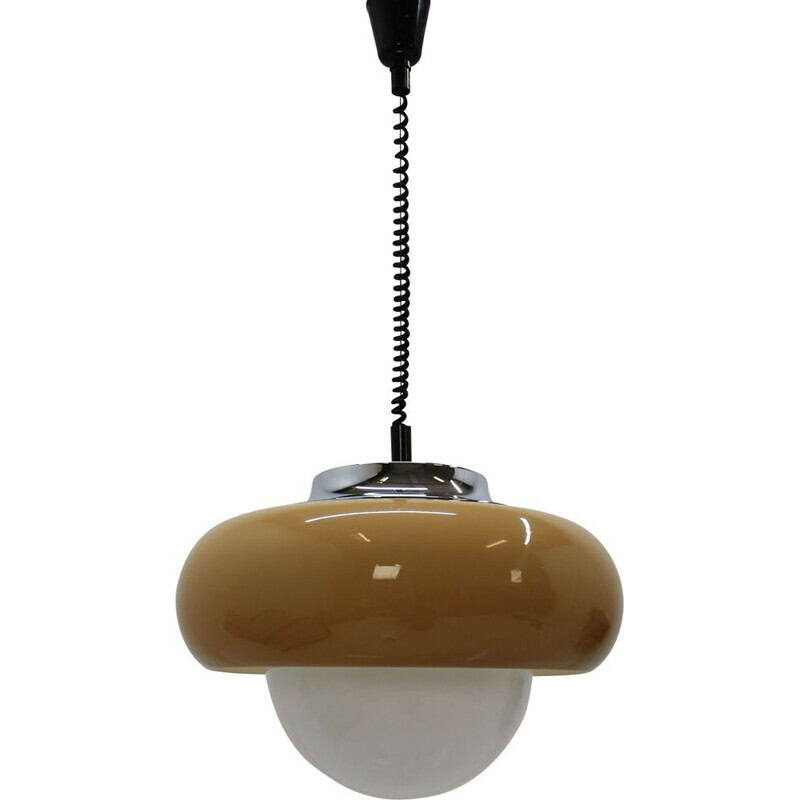 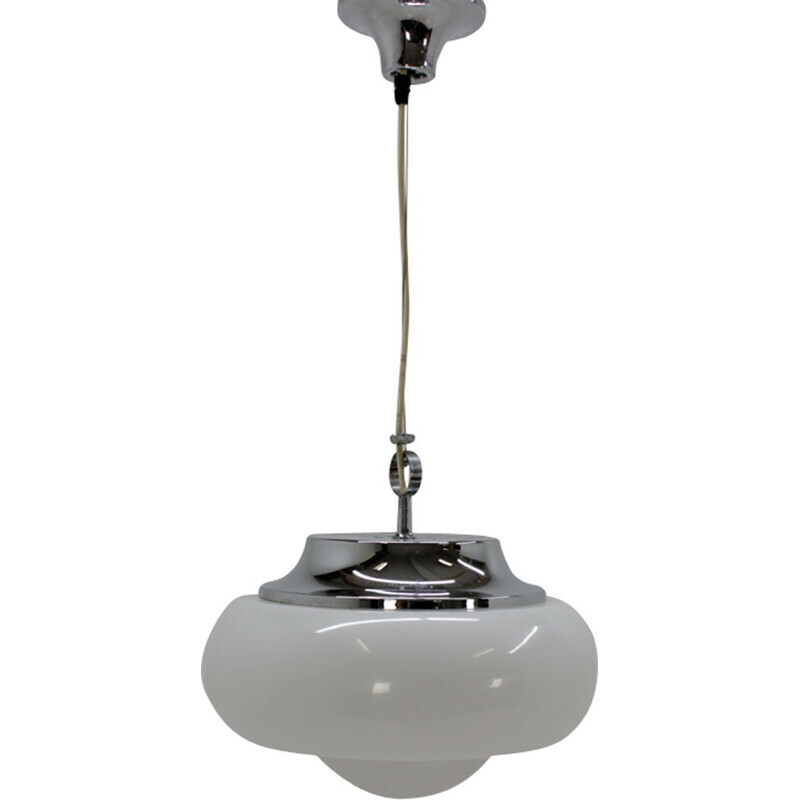 Lampshade spherical semi white plastic maintained using a metal rod mounted on a black lacquered metal foot. 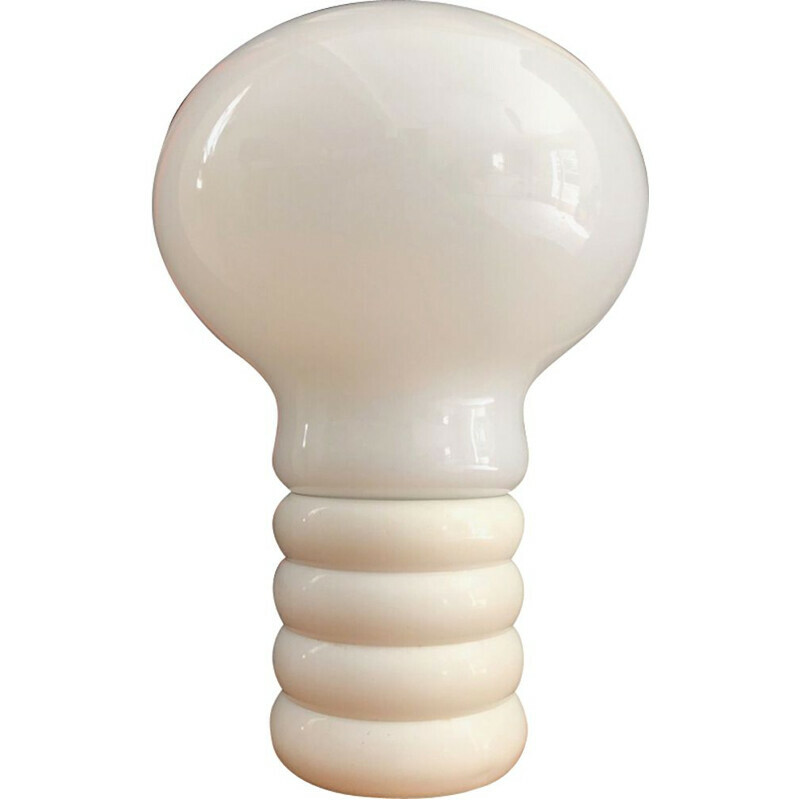 Switch to the head. 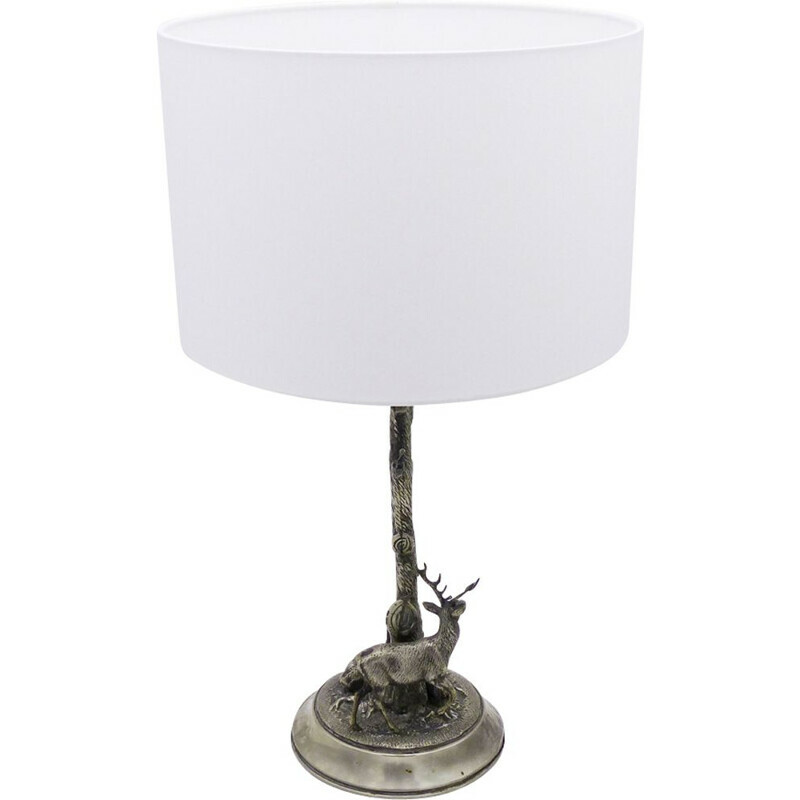 Good state of conservation.